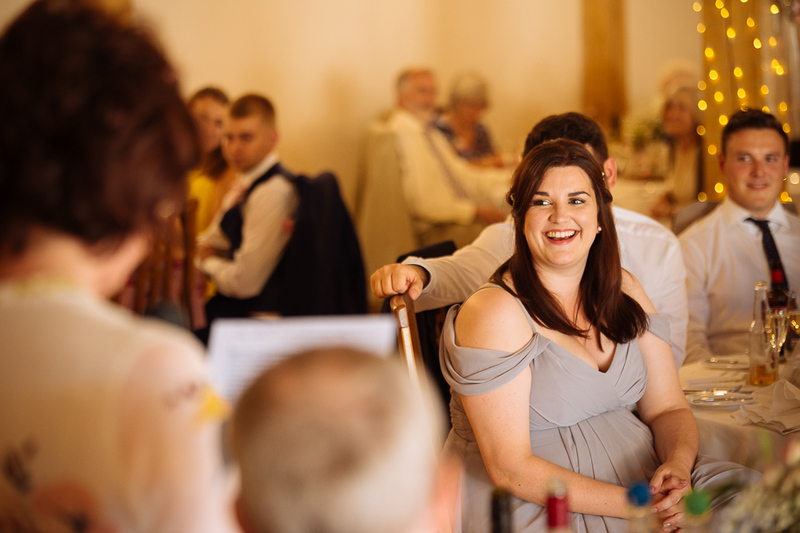 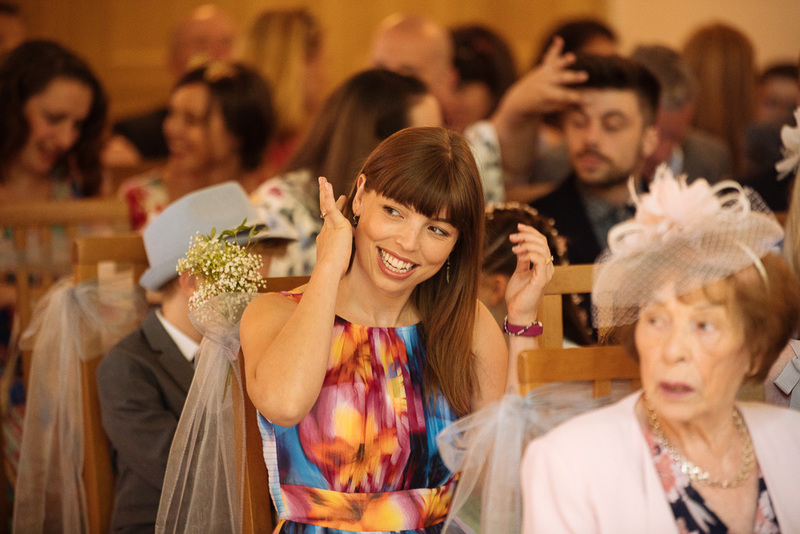 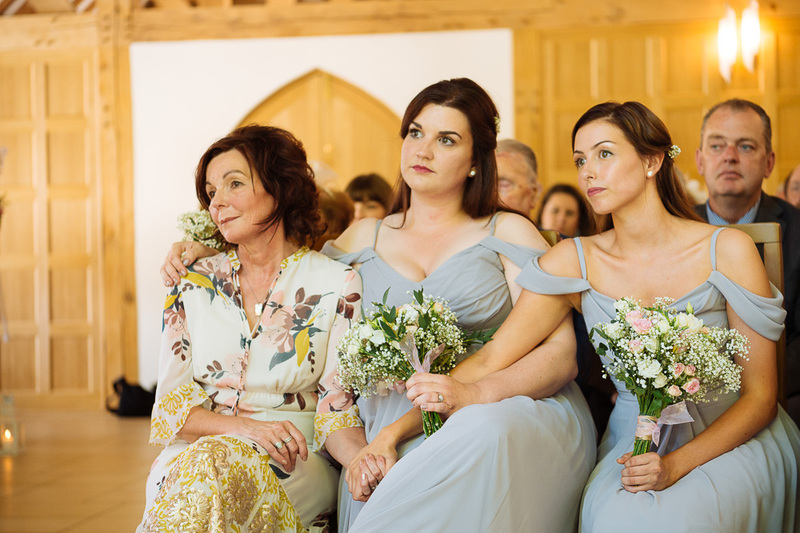 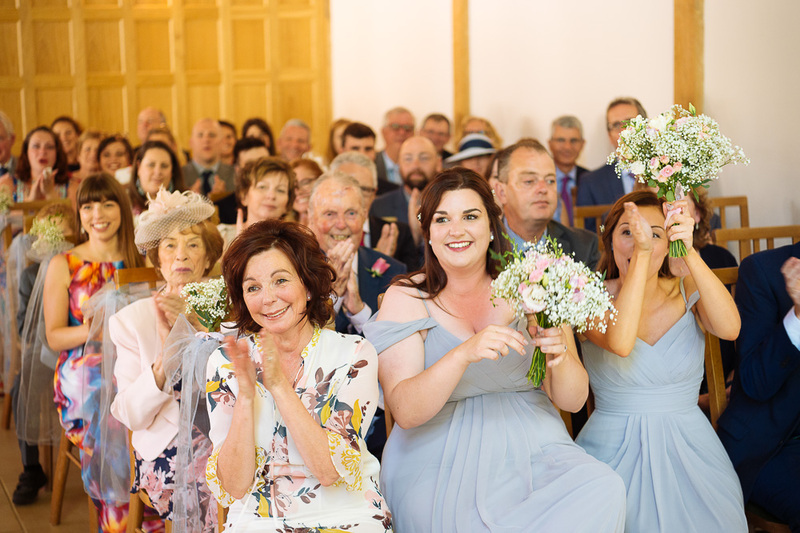 I photographed Megan’s sister Laura’s wedding in 2017 so it was lovely to be reunited with the family again. 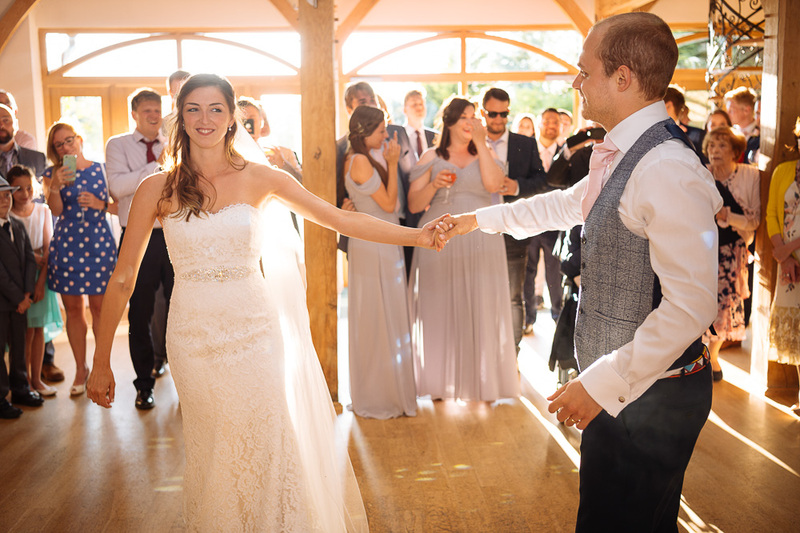 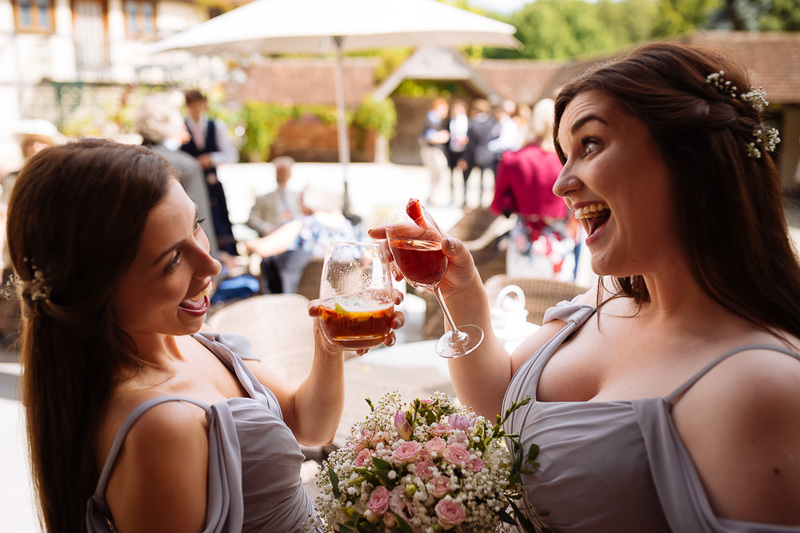 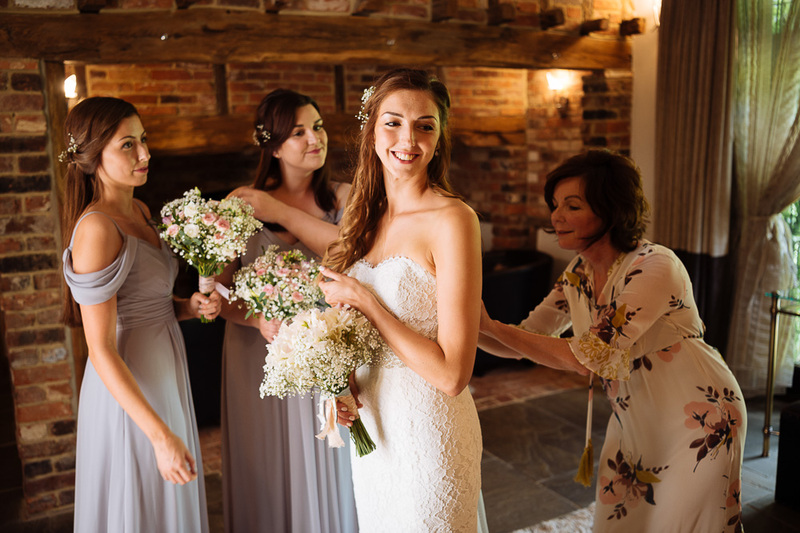 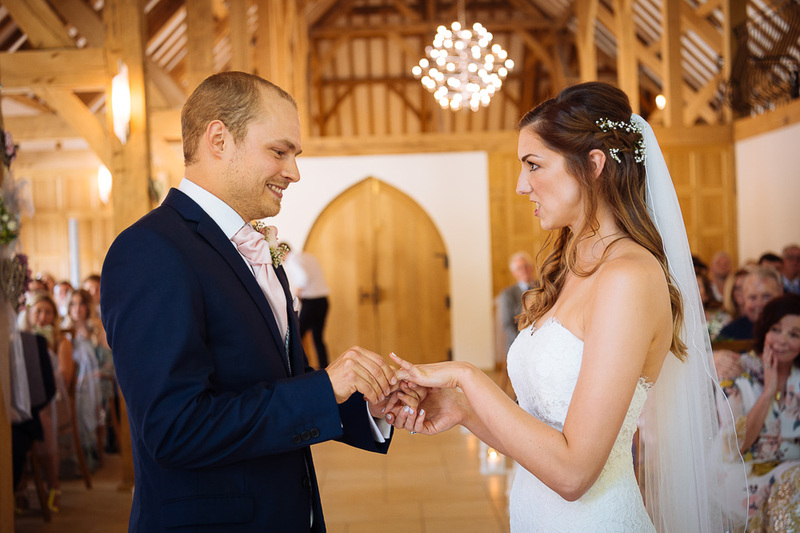 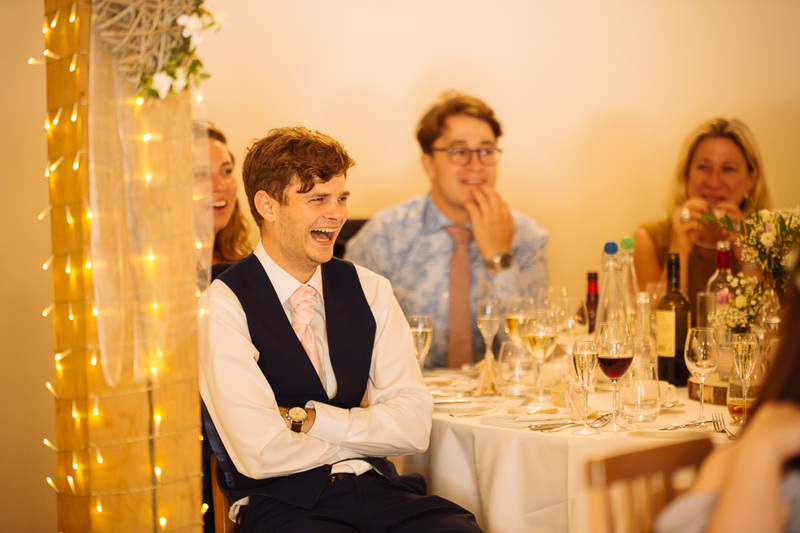 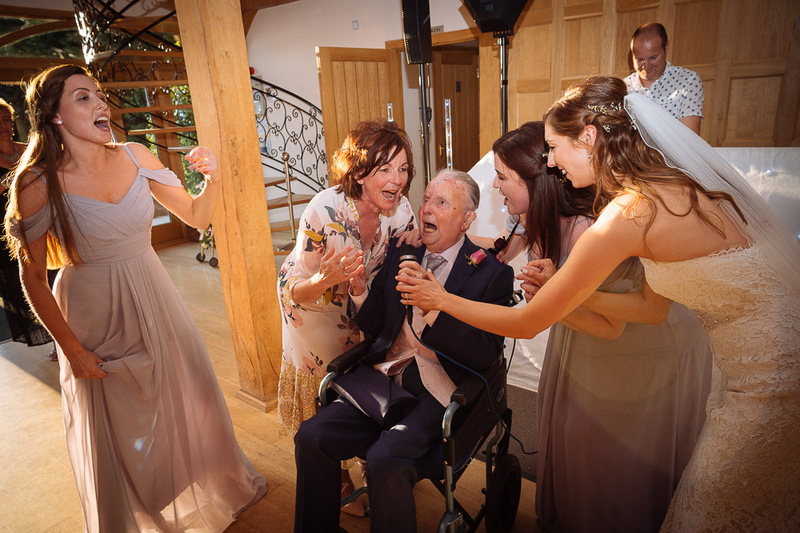 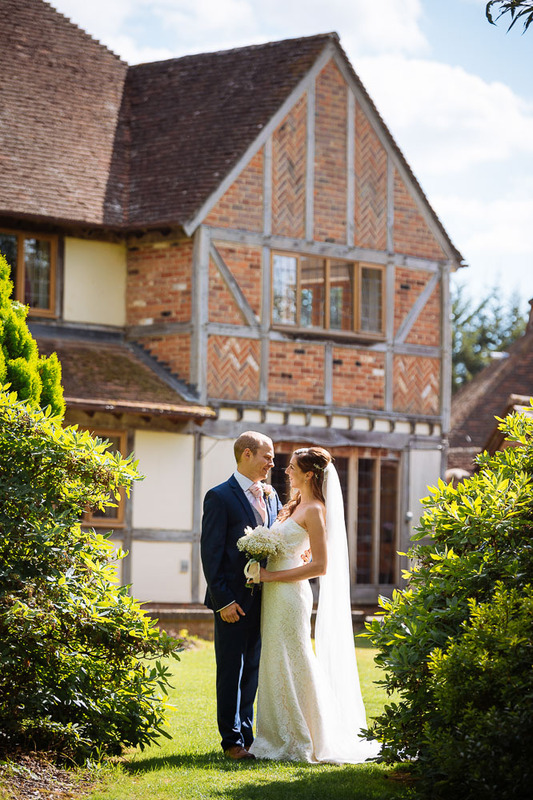 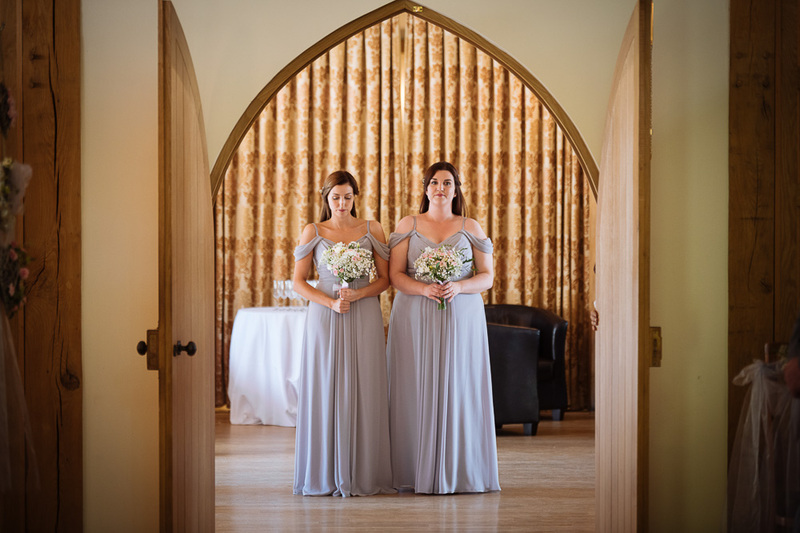 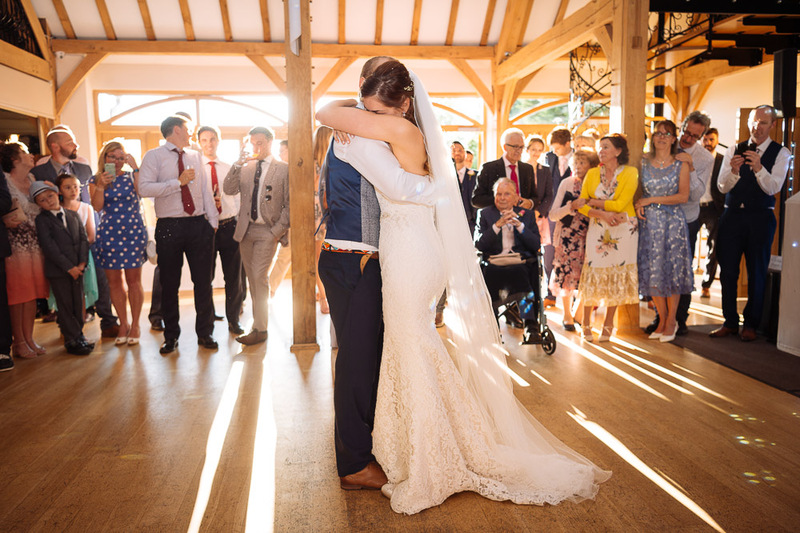 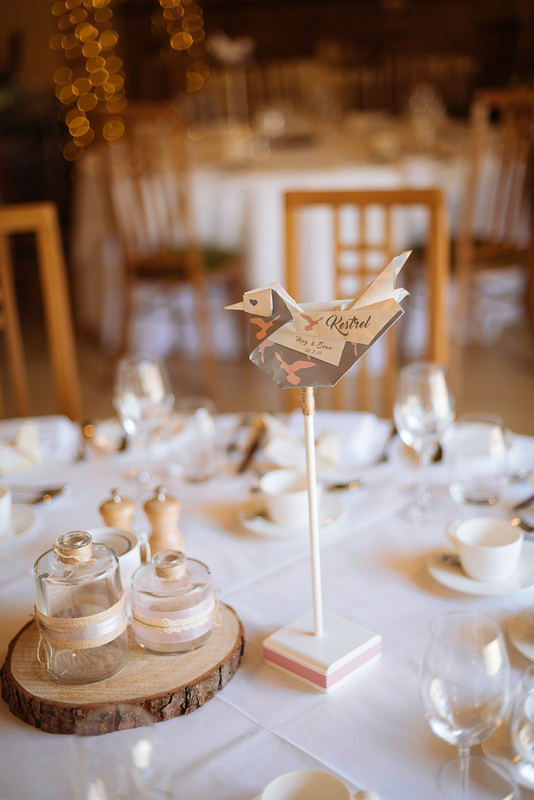 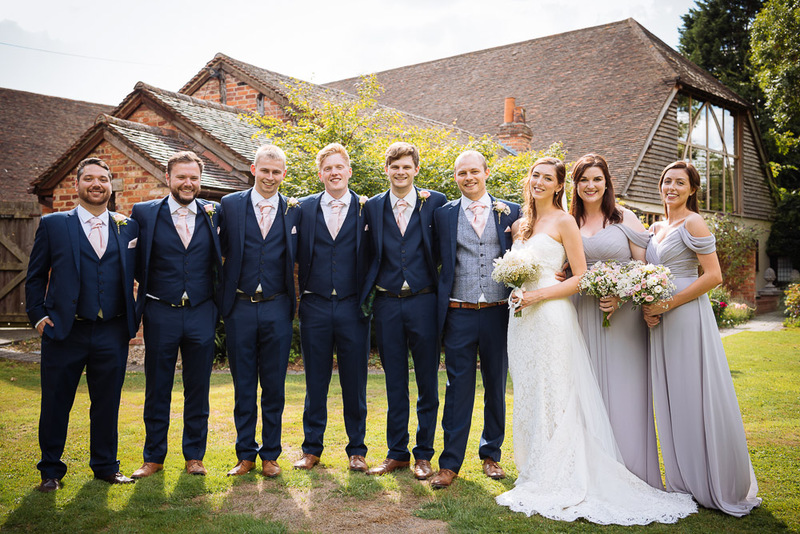 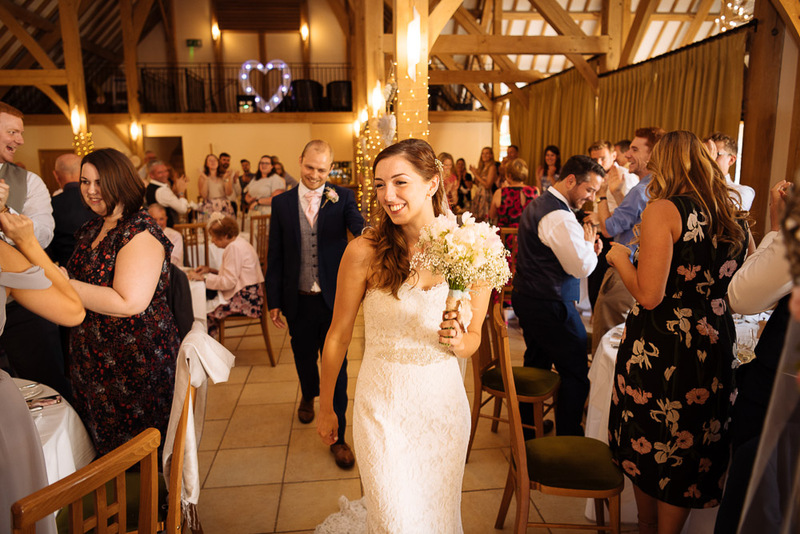 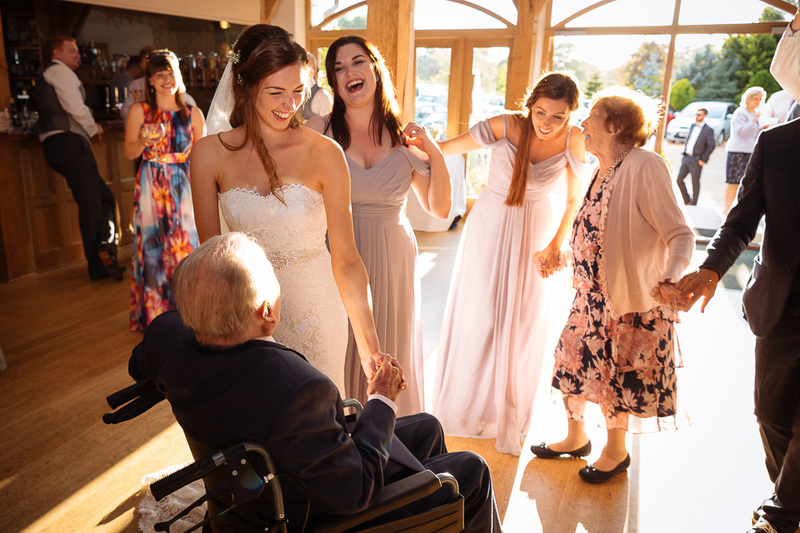 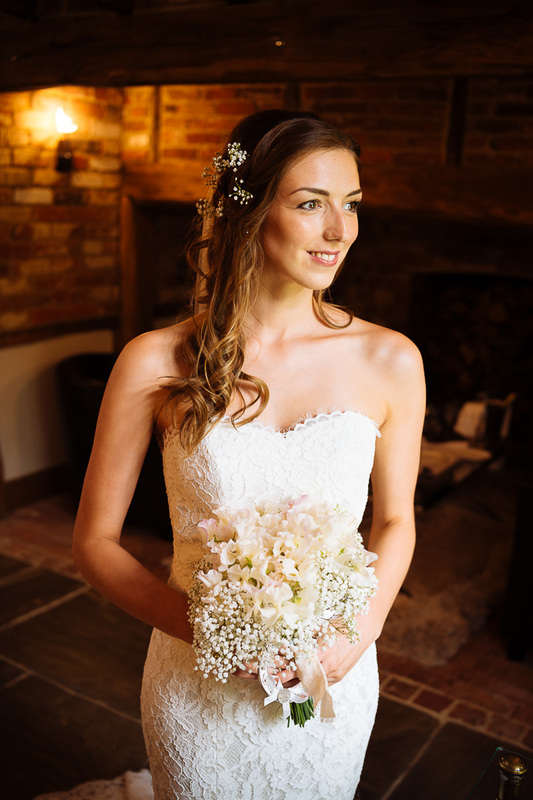 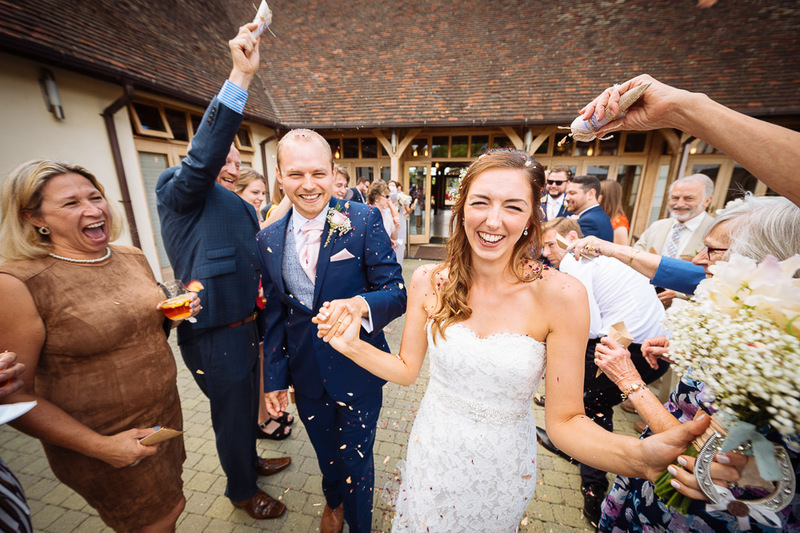 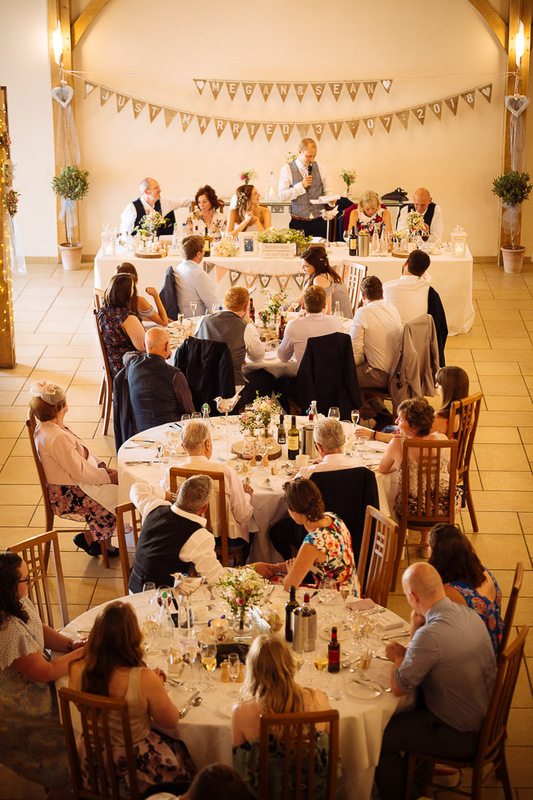 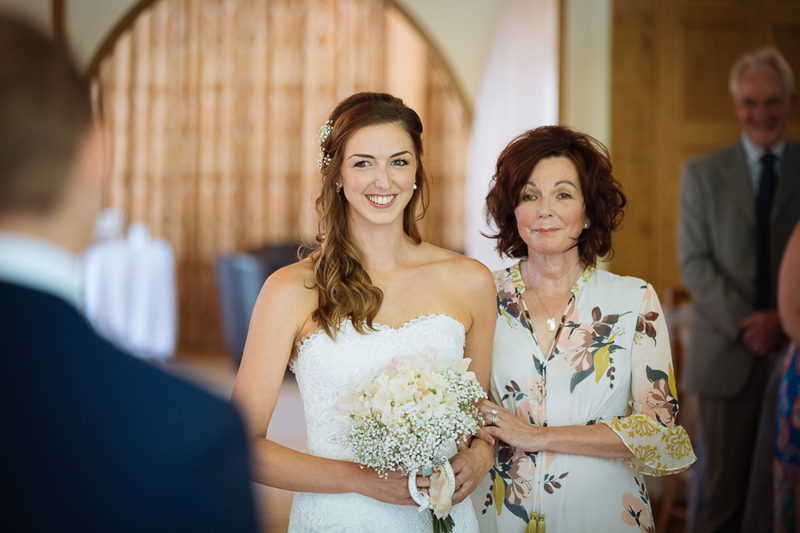 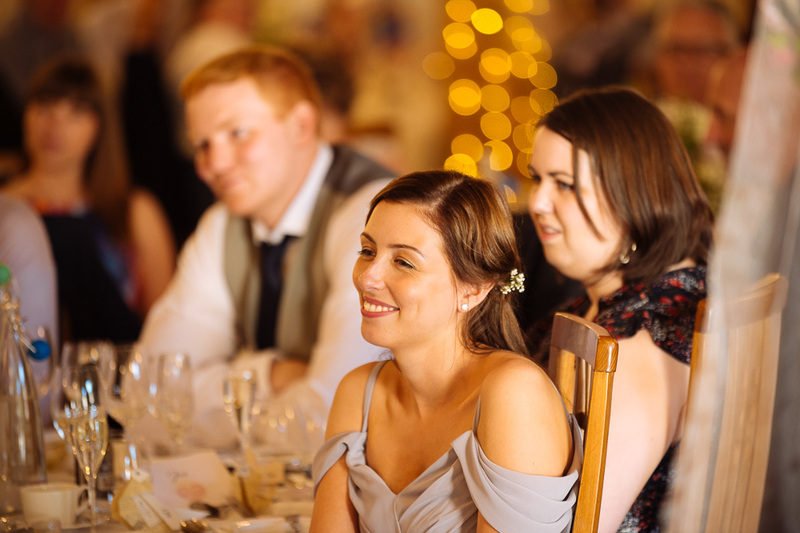 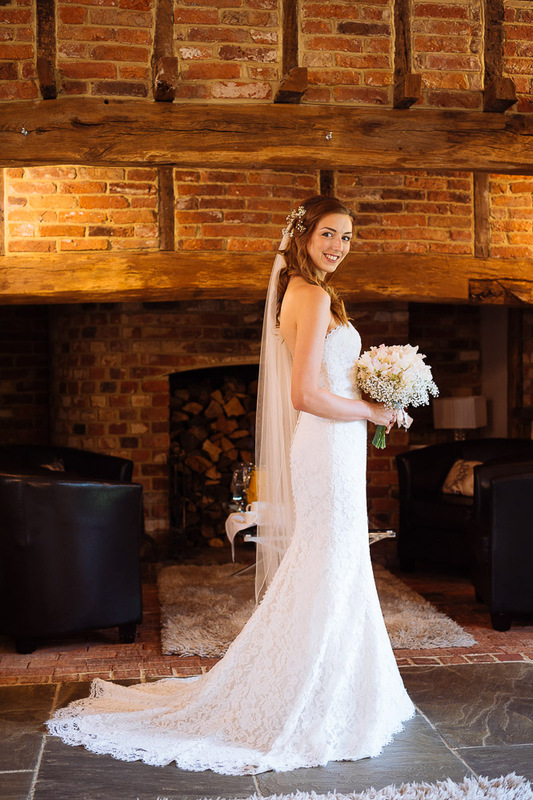 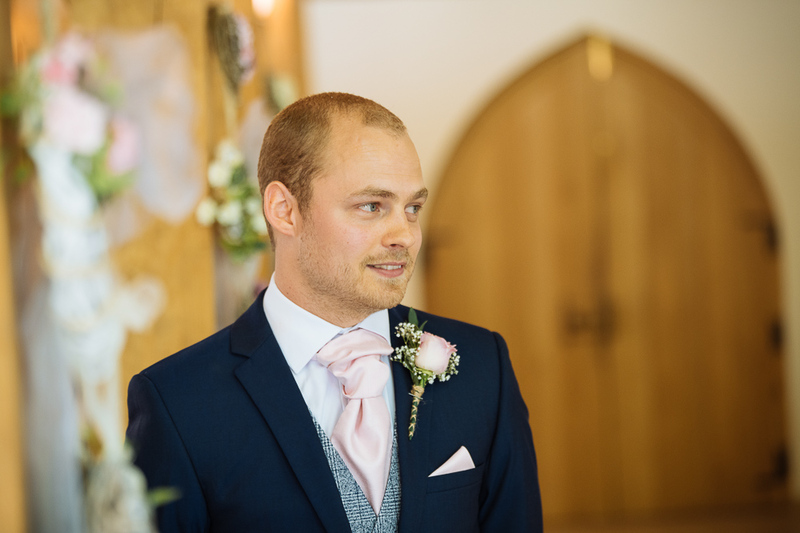 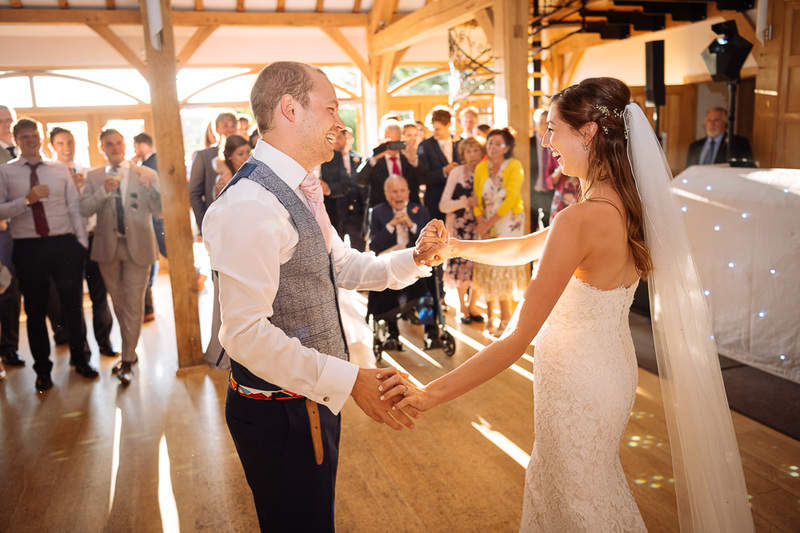 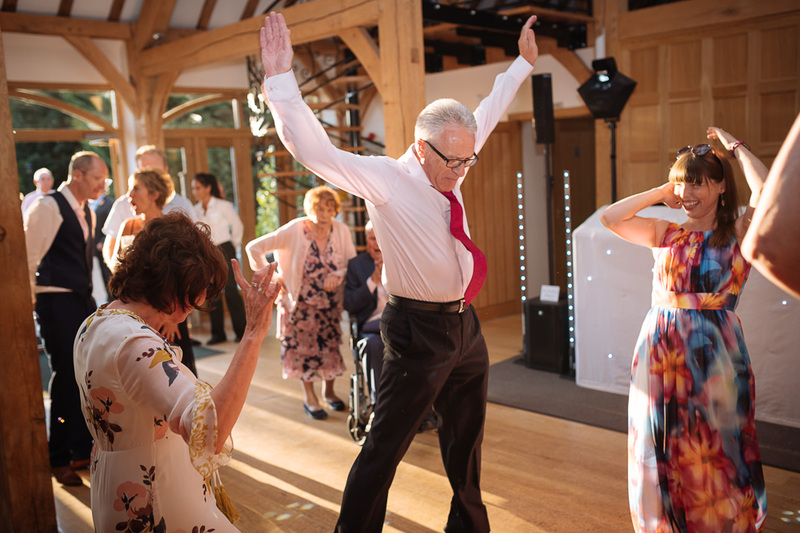 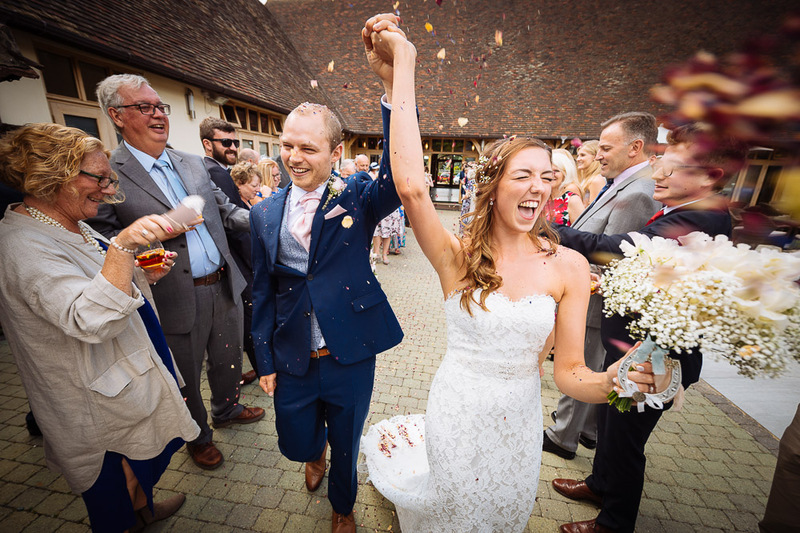 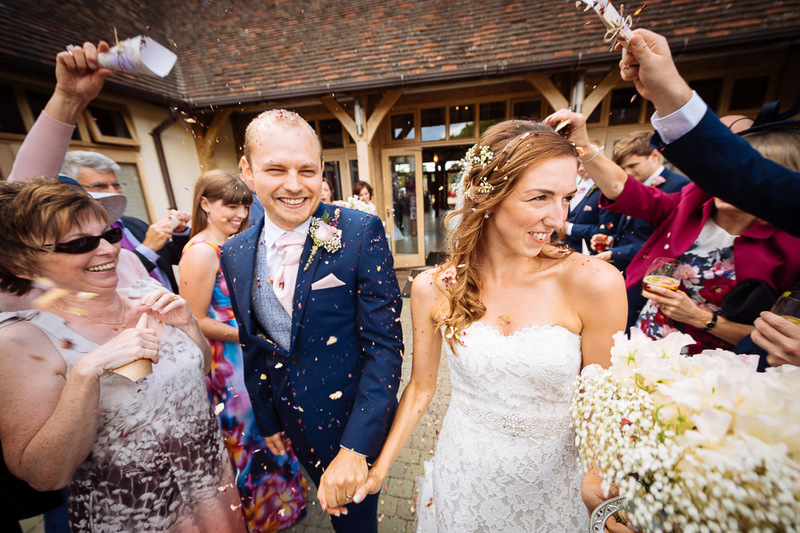 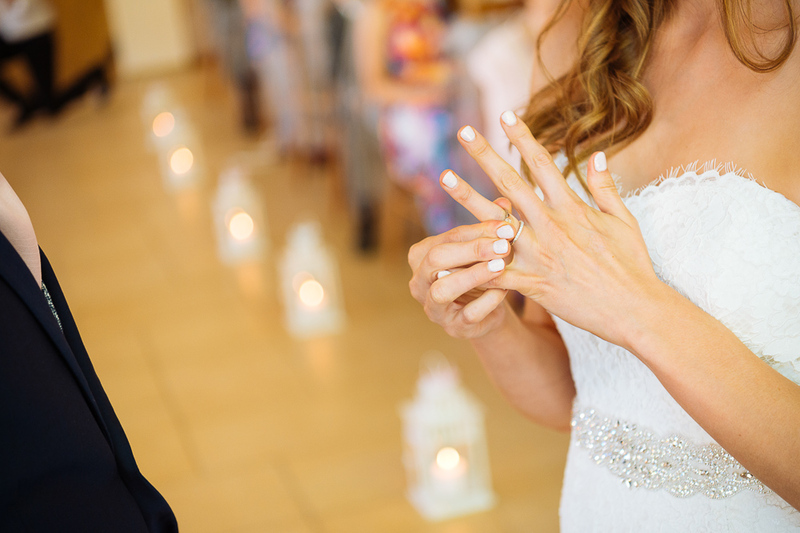 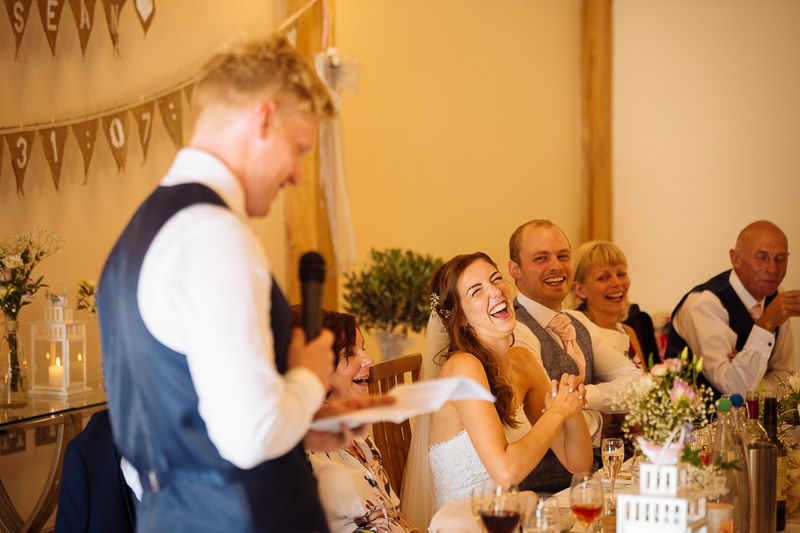 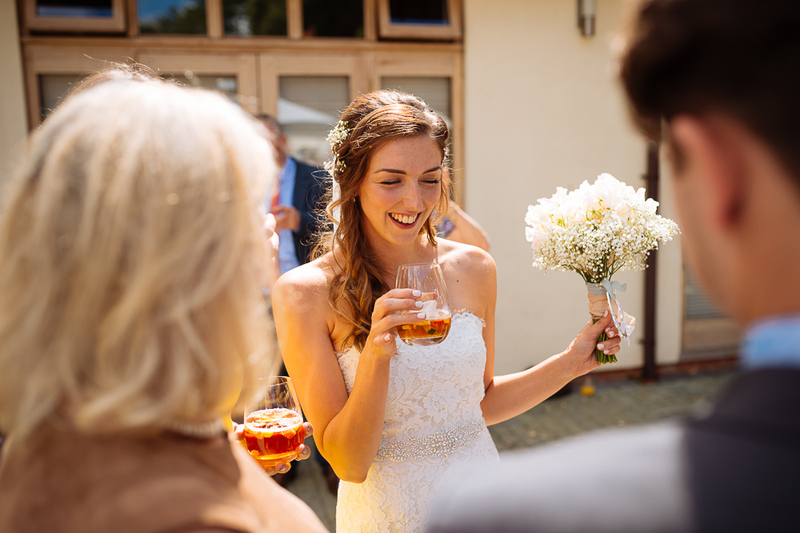 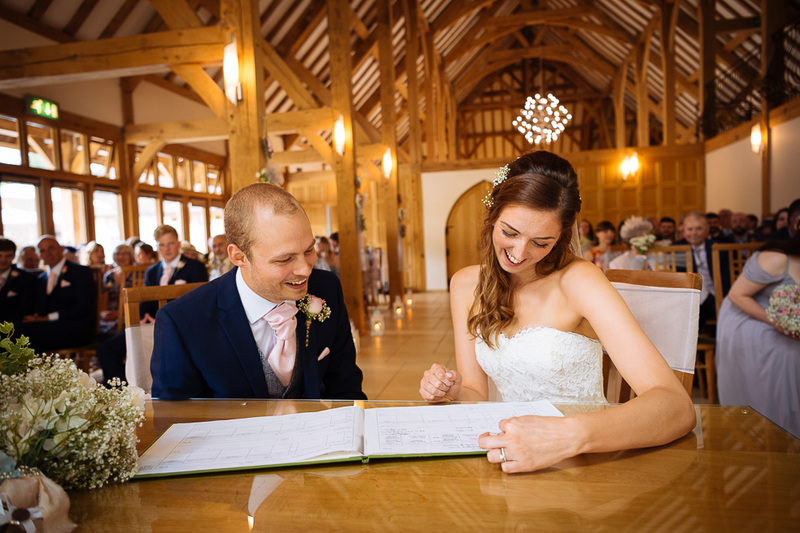 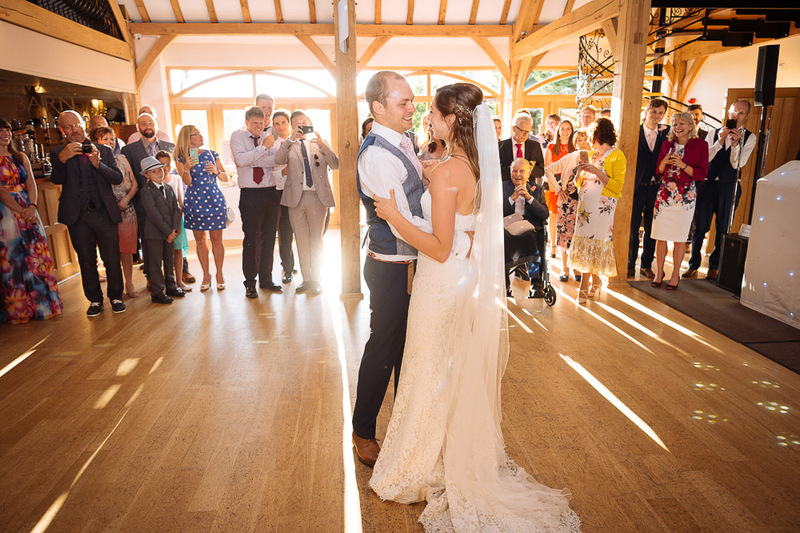 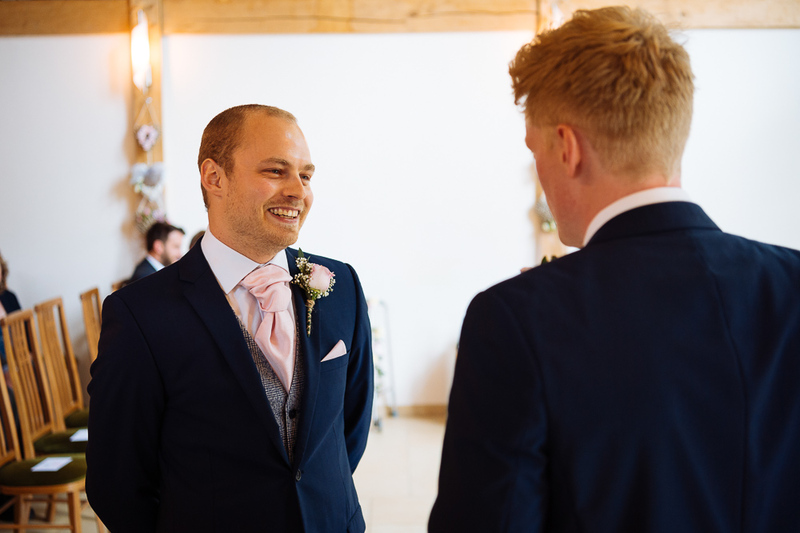 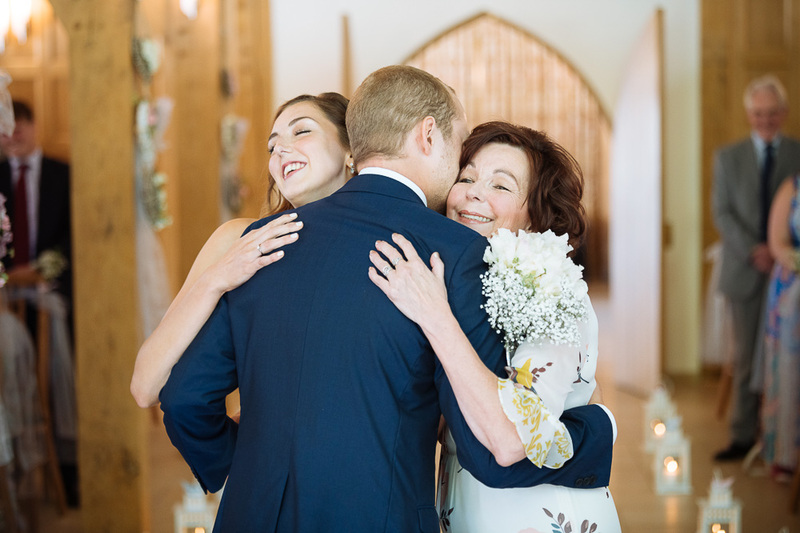 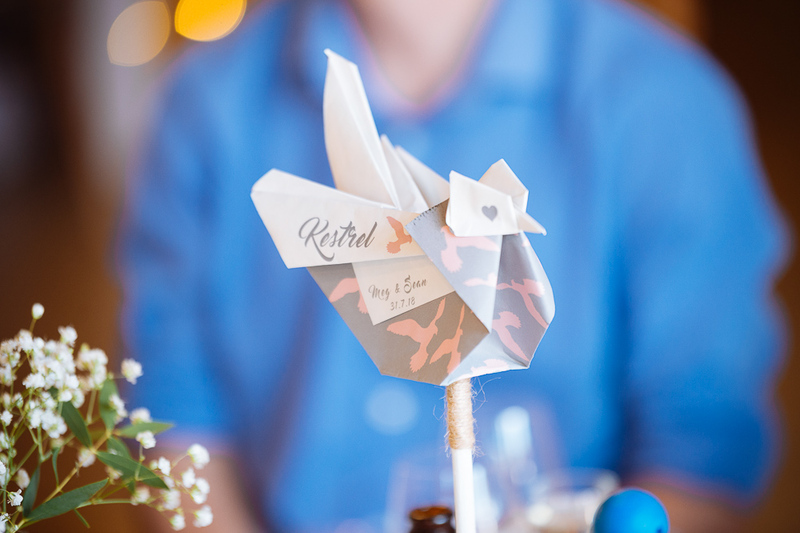 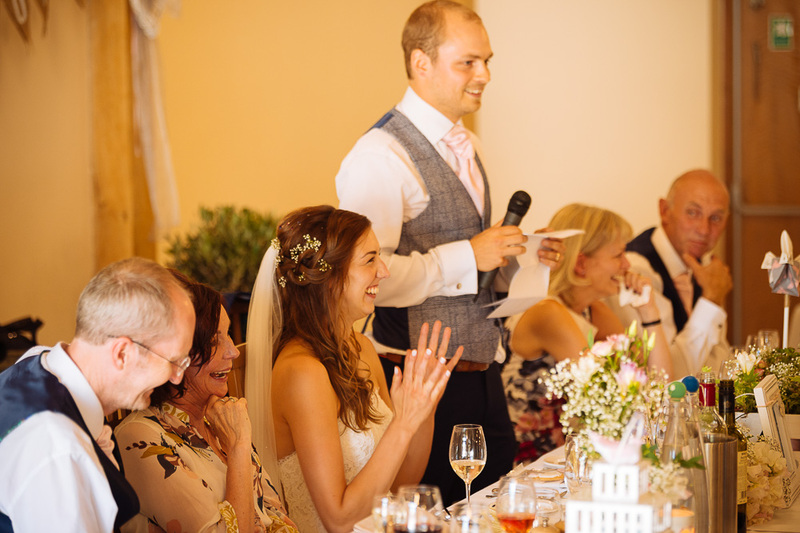 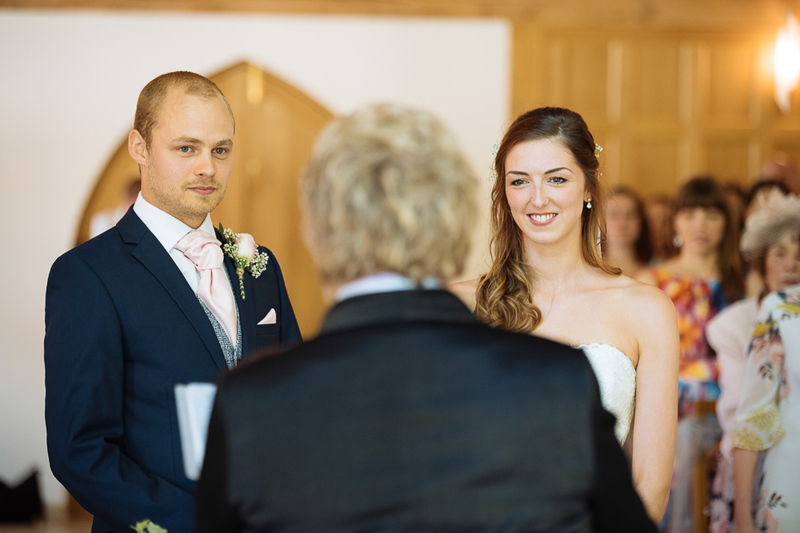 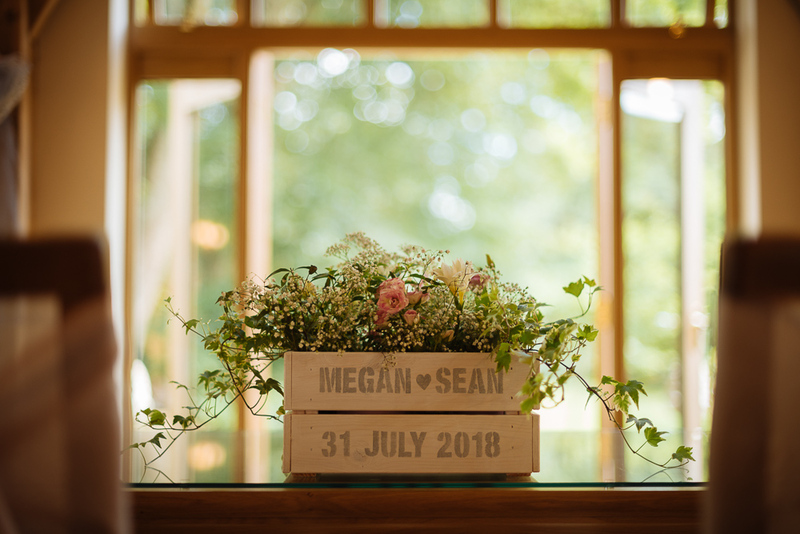 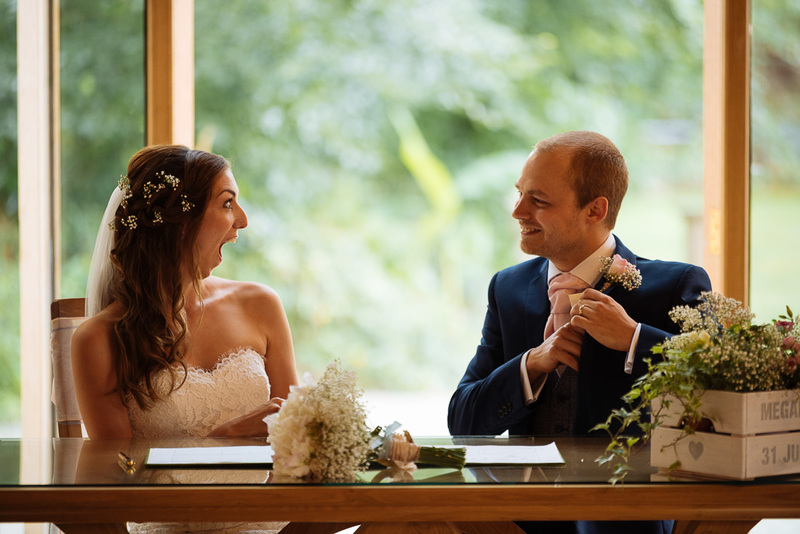 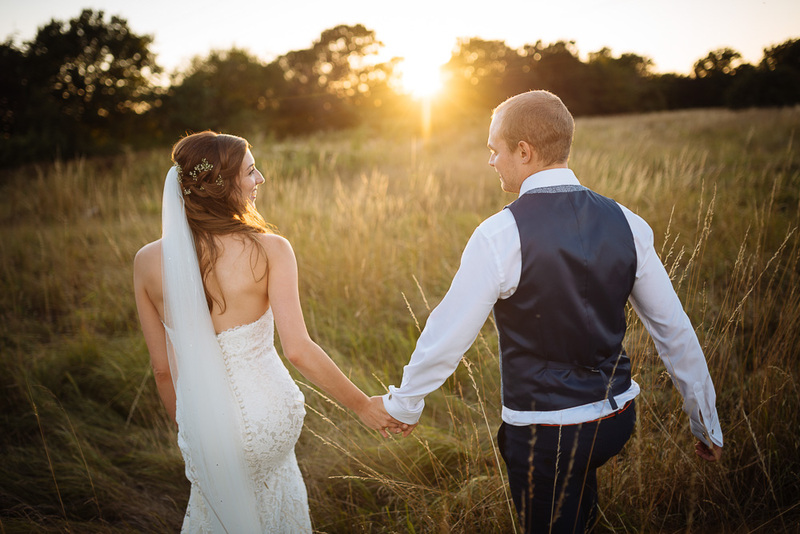 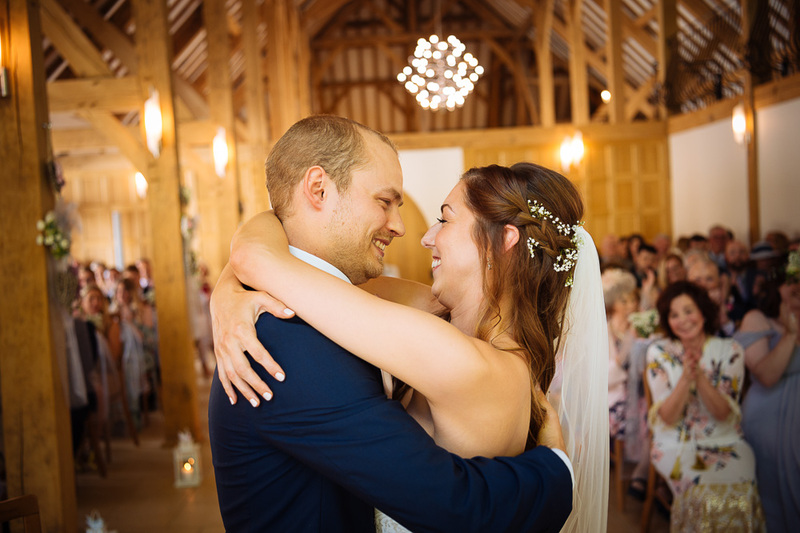 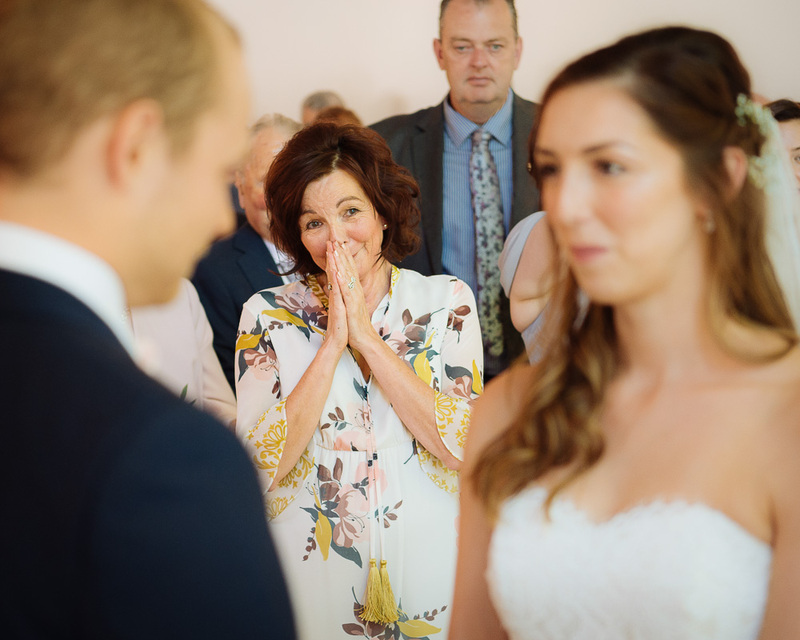 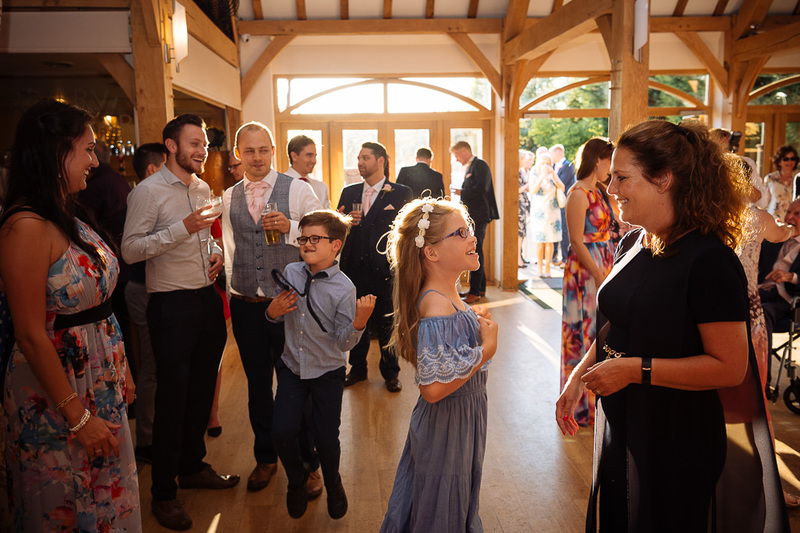 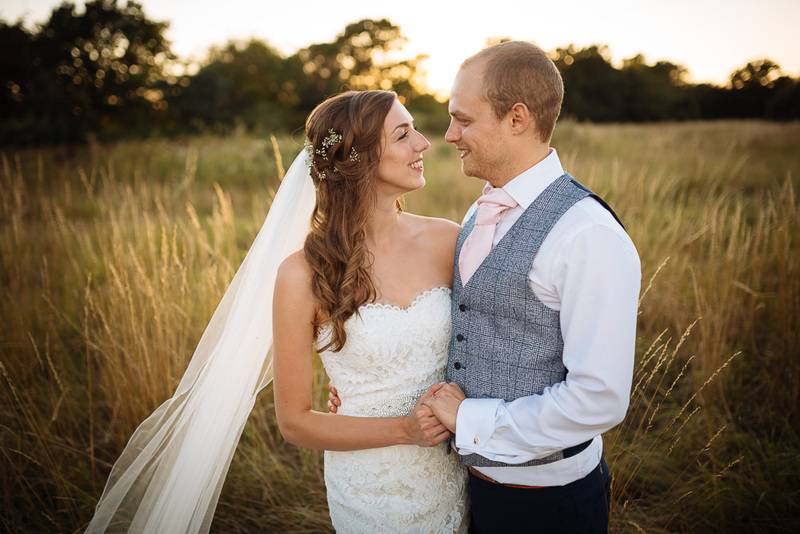 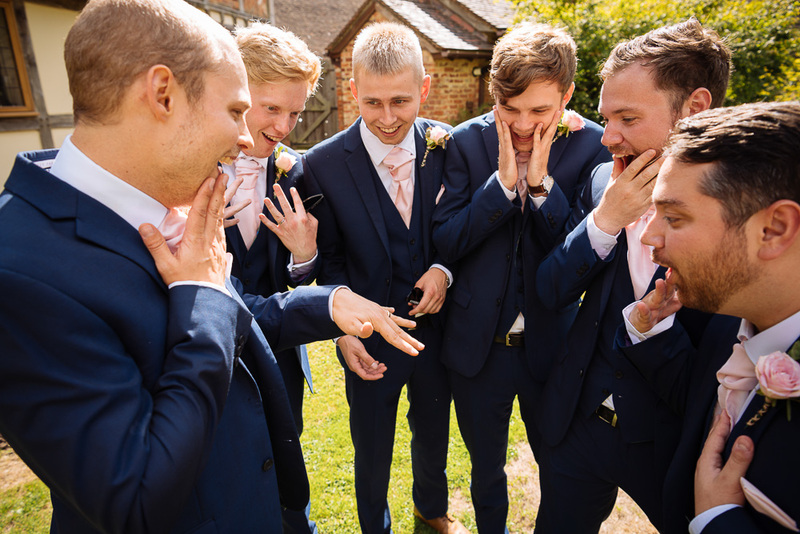 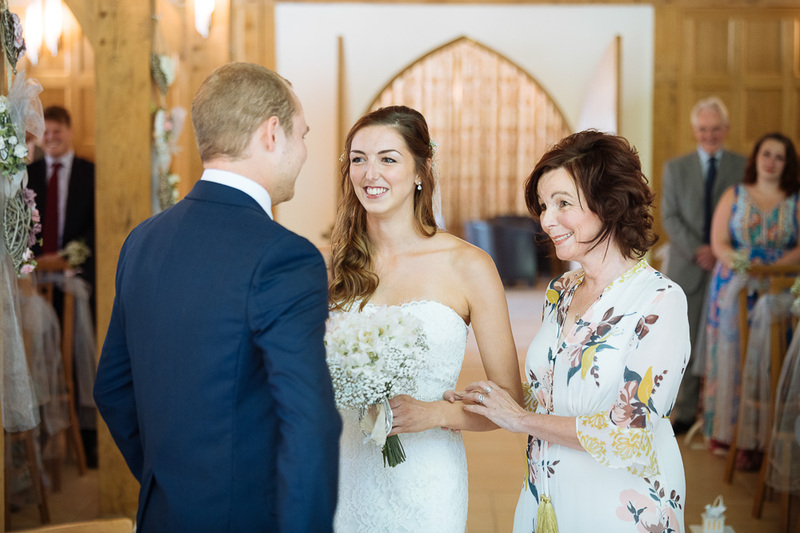 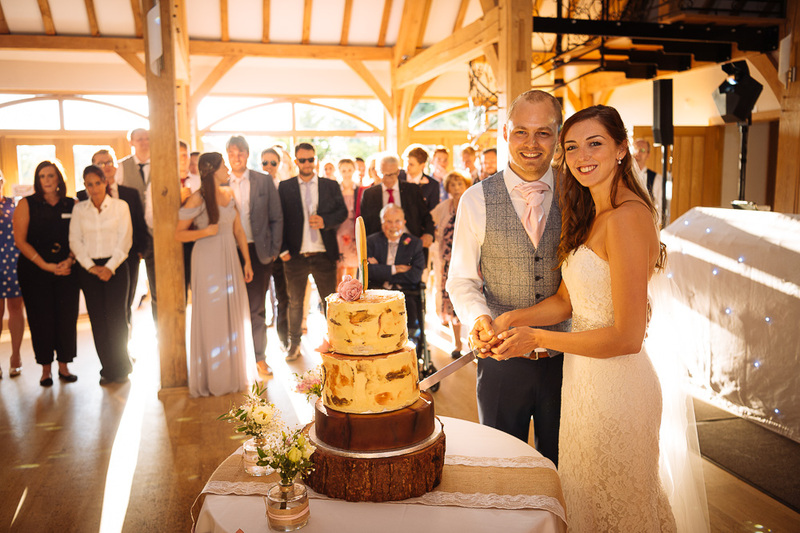 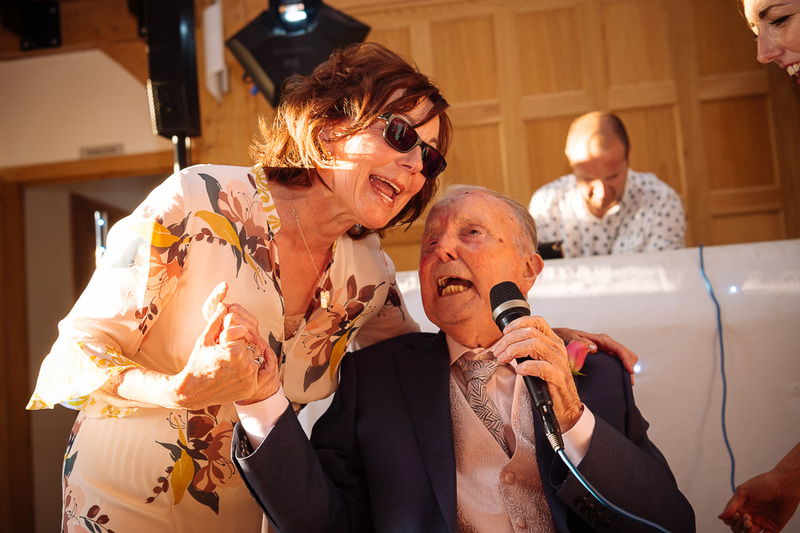 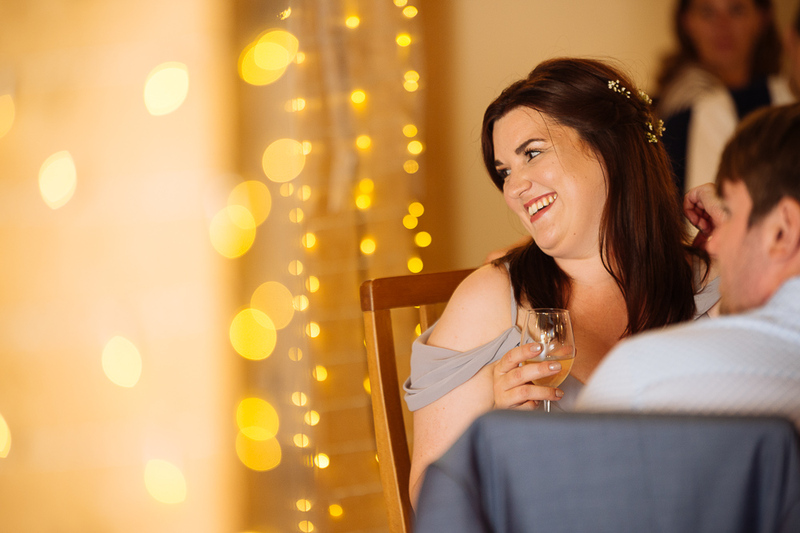 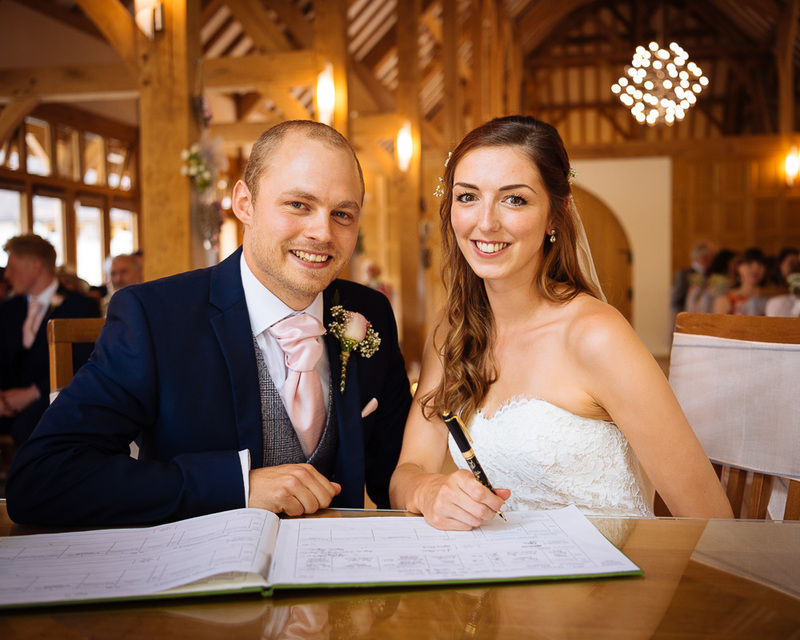 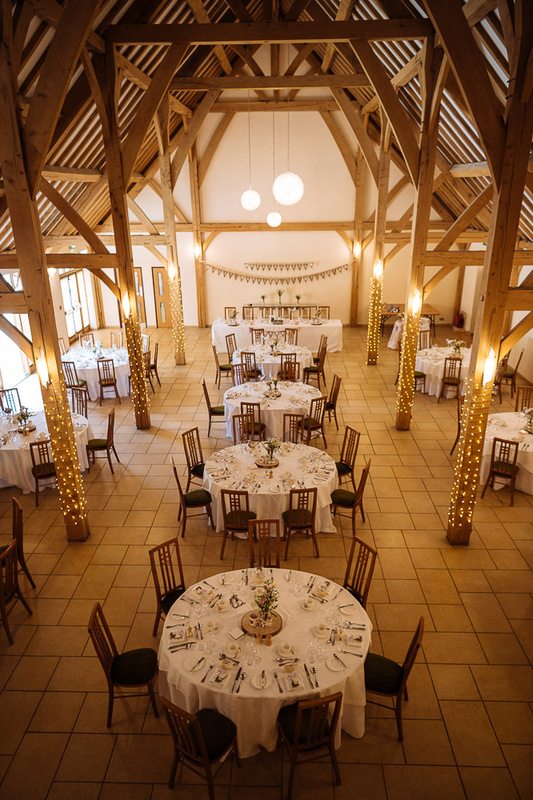 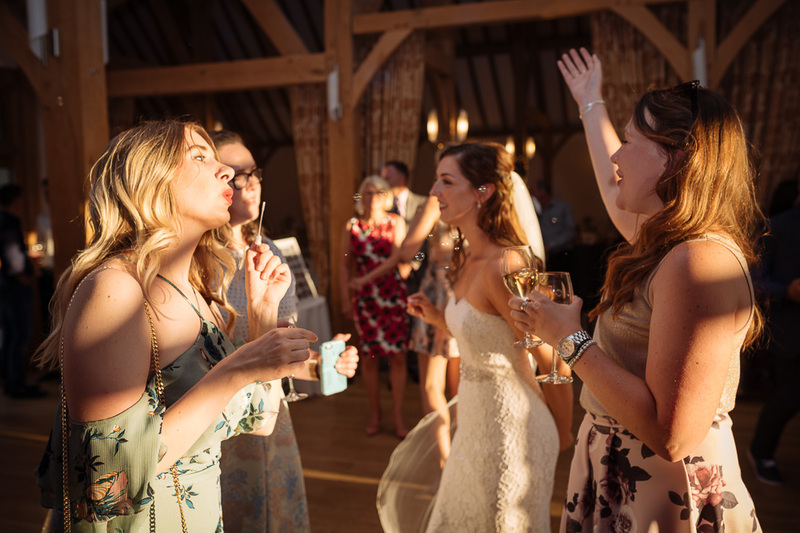 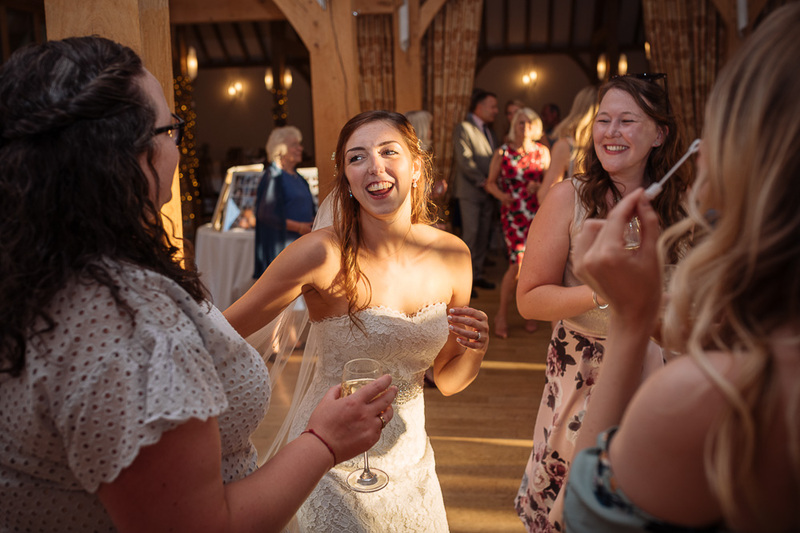 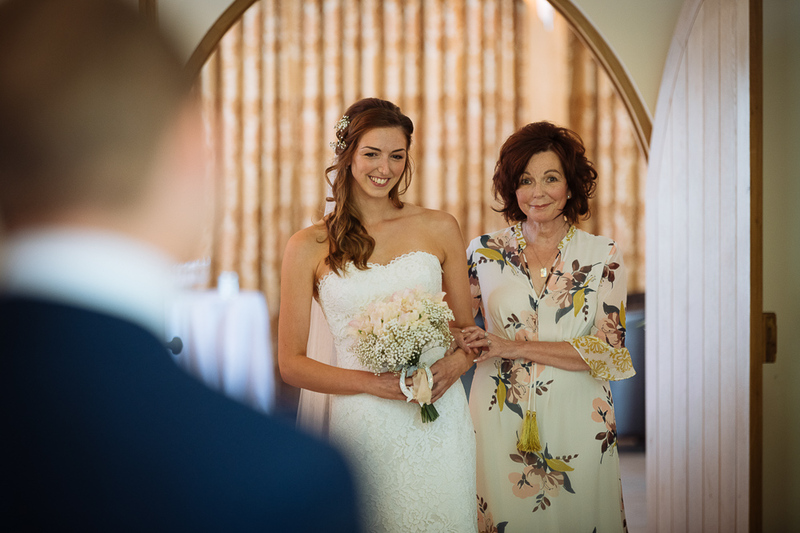 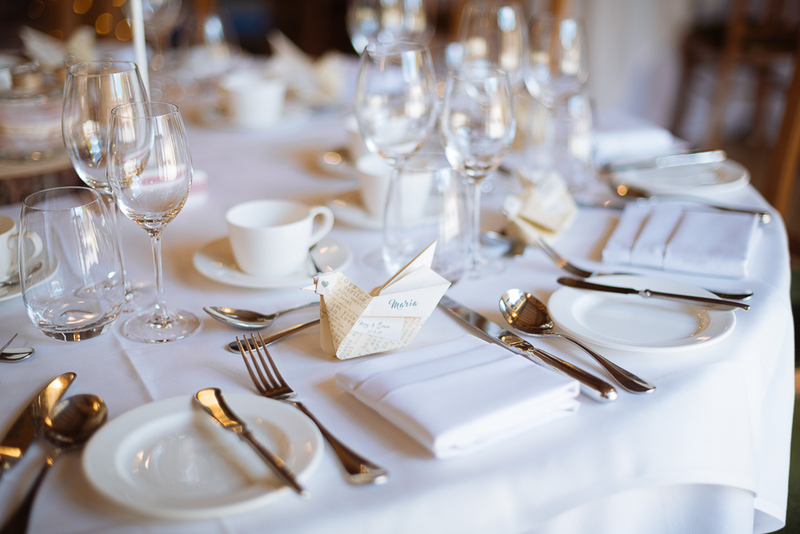 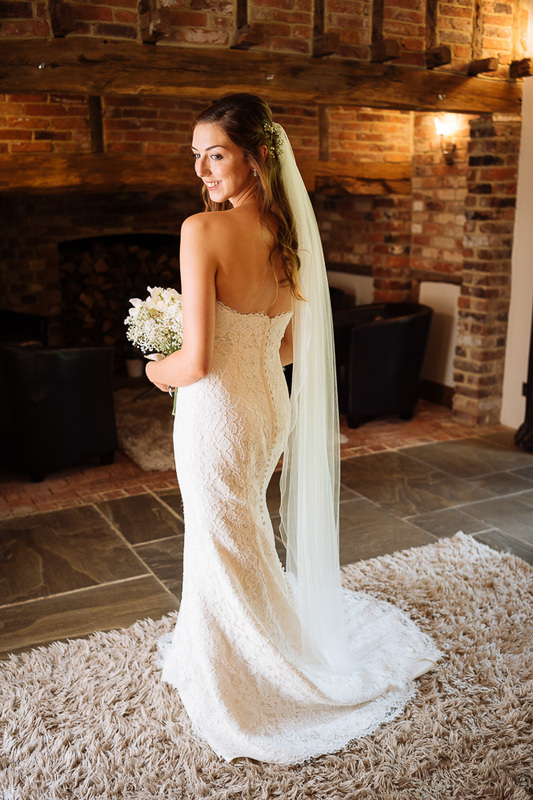 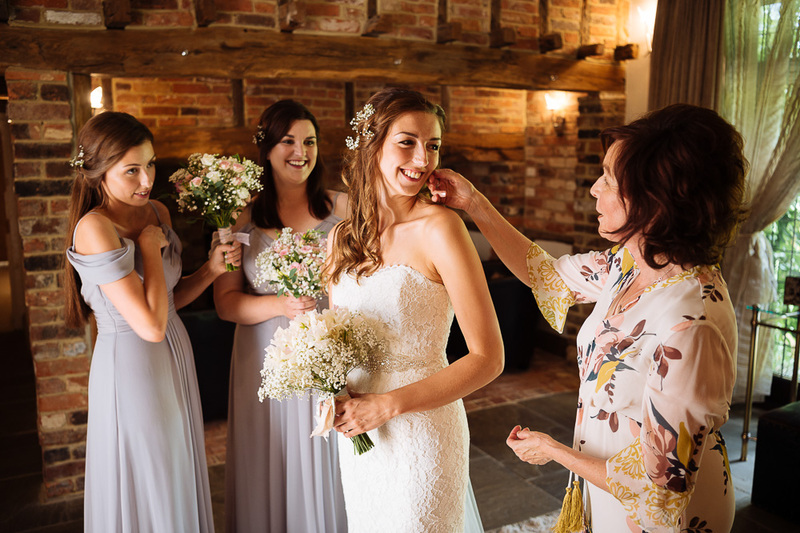 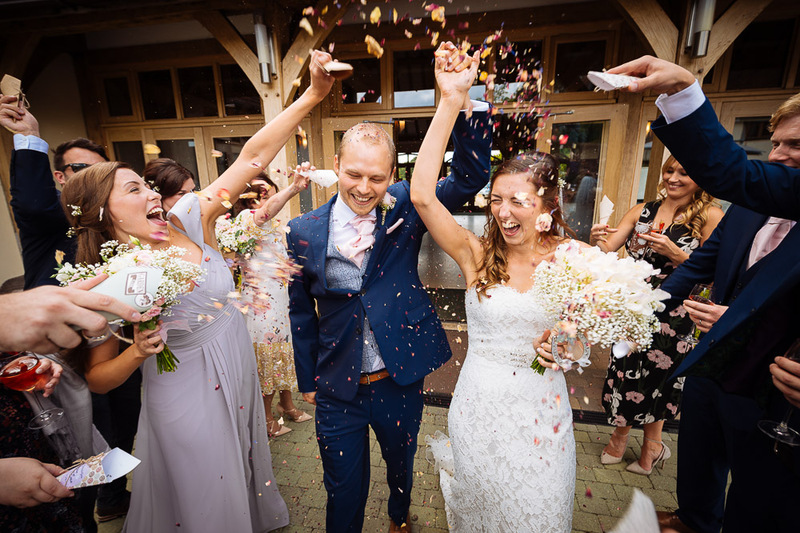 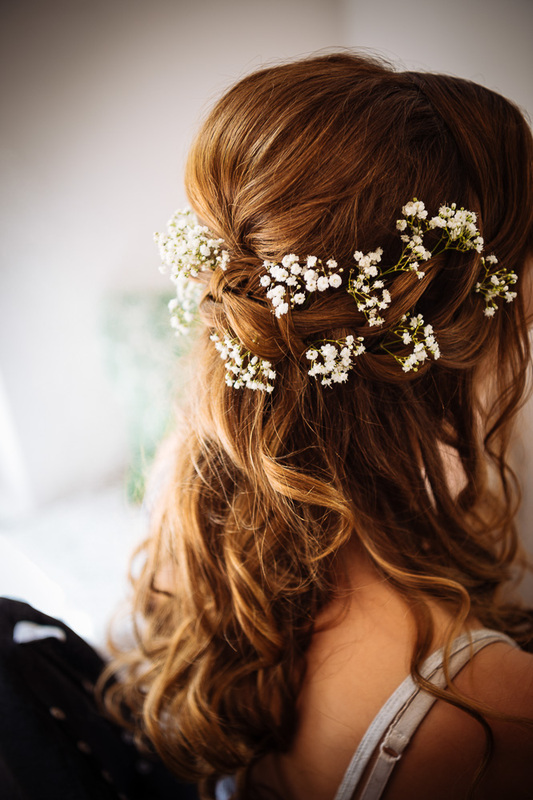 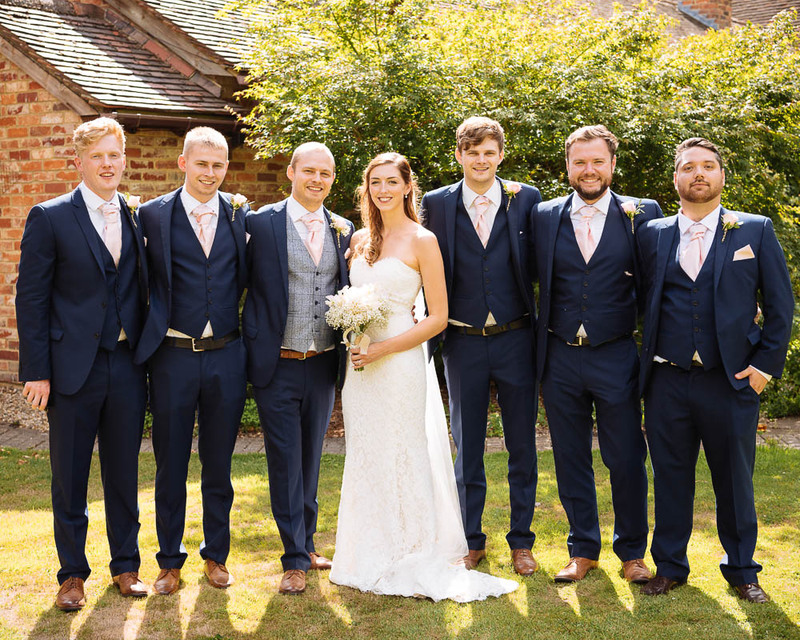 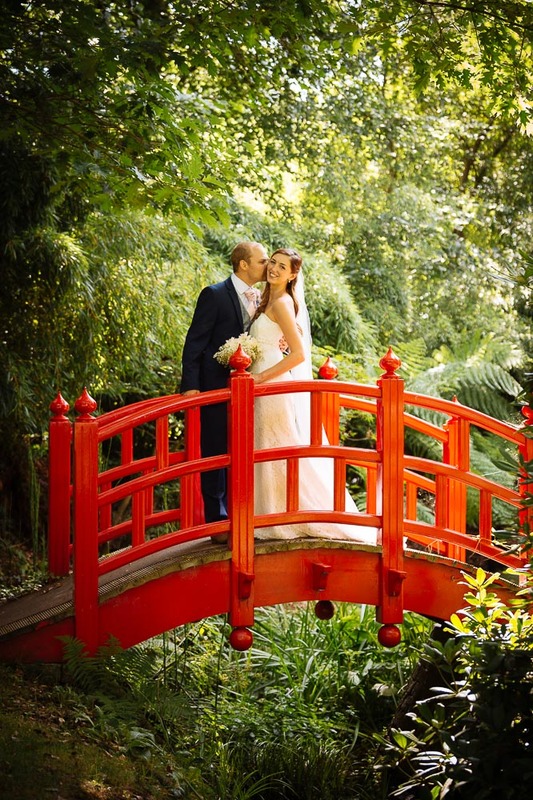 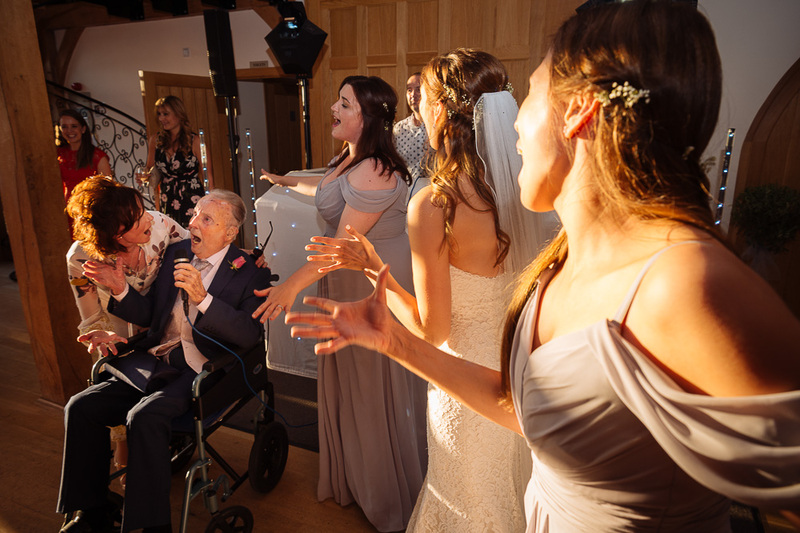 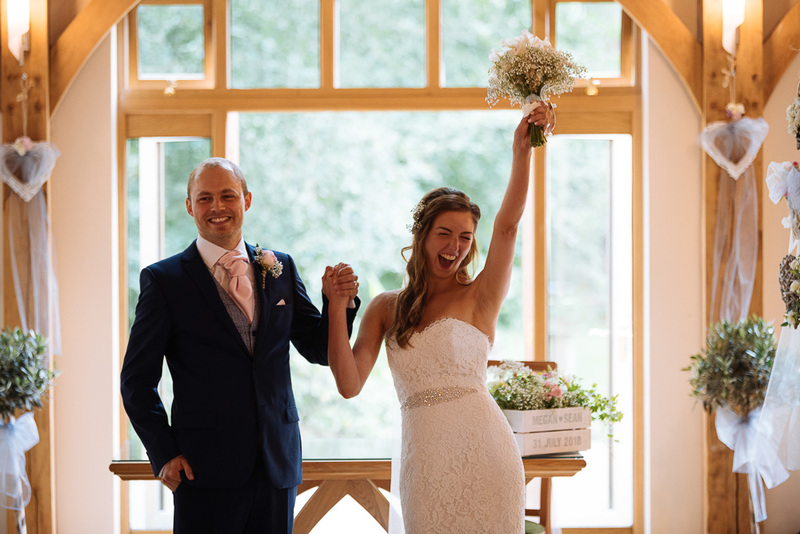 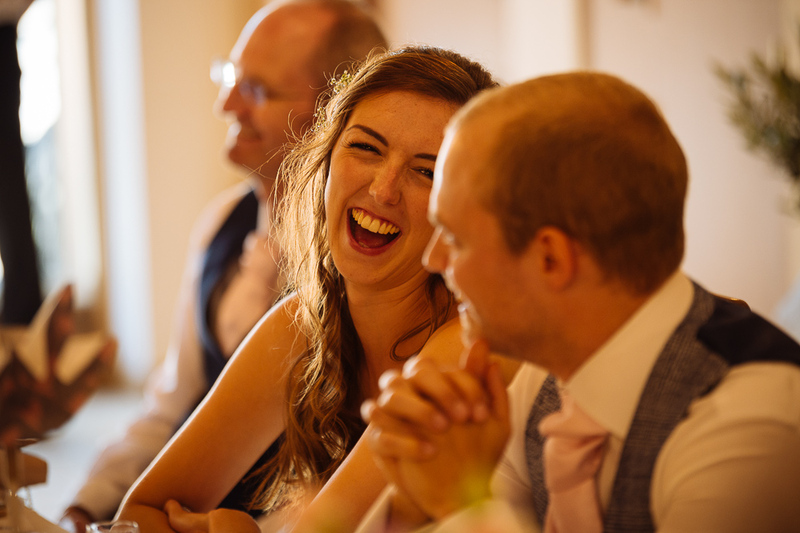 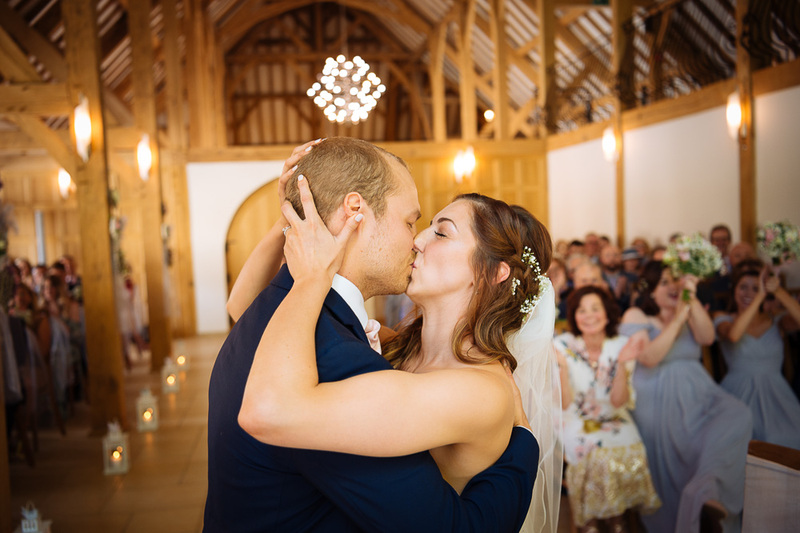 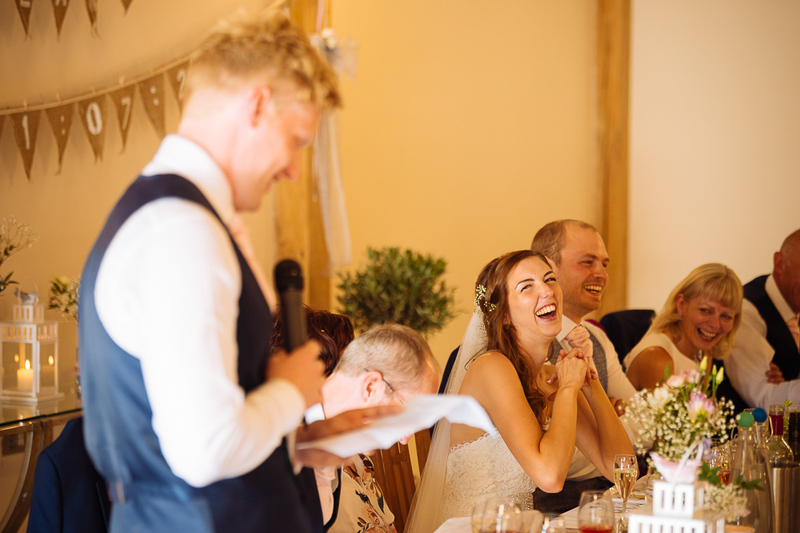 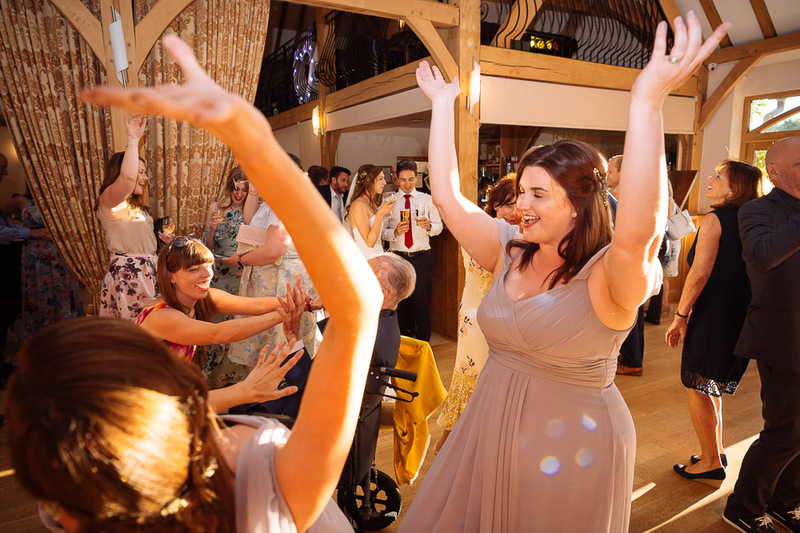 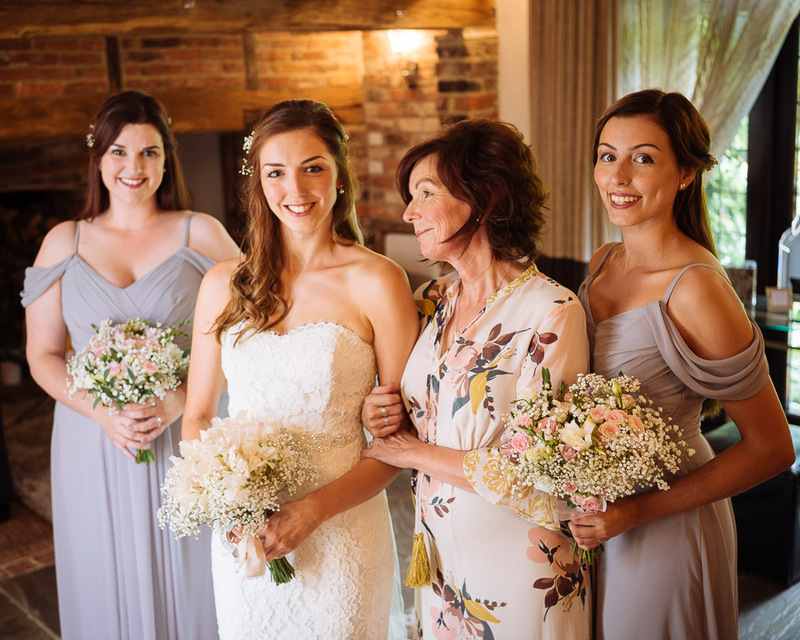 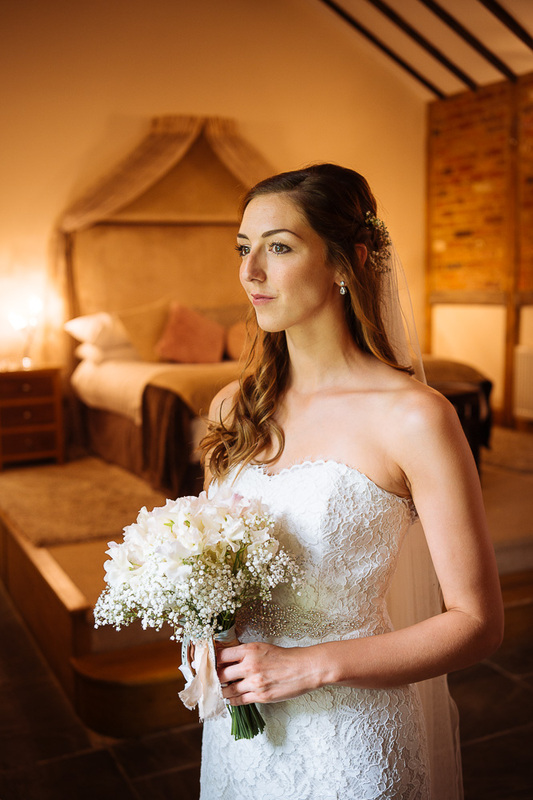 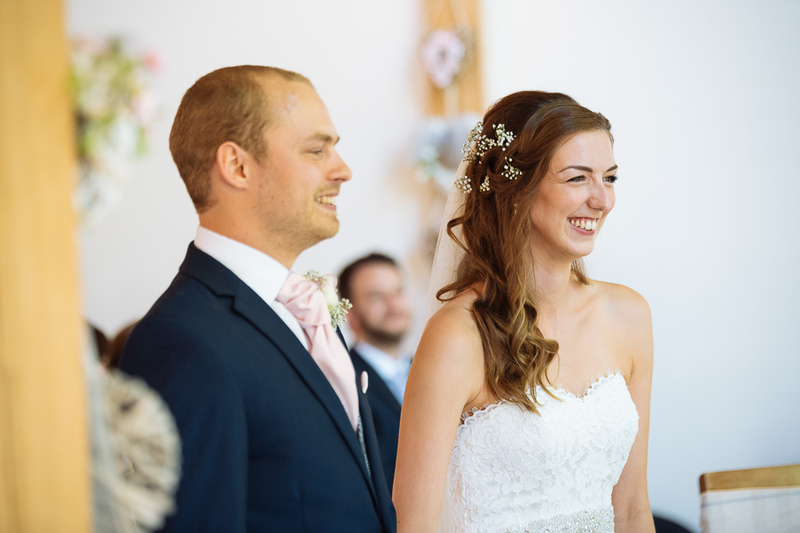 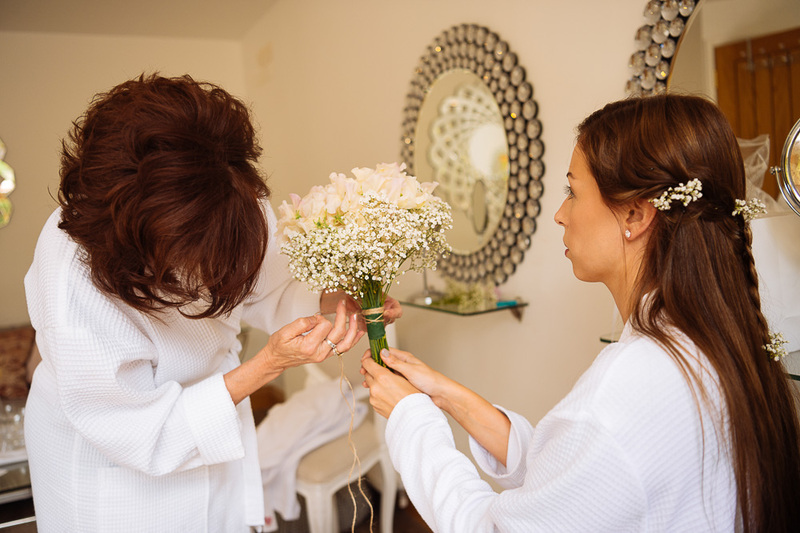 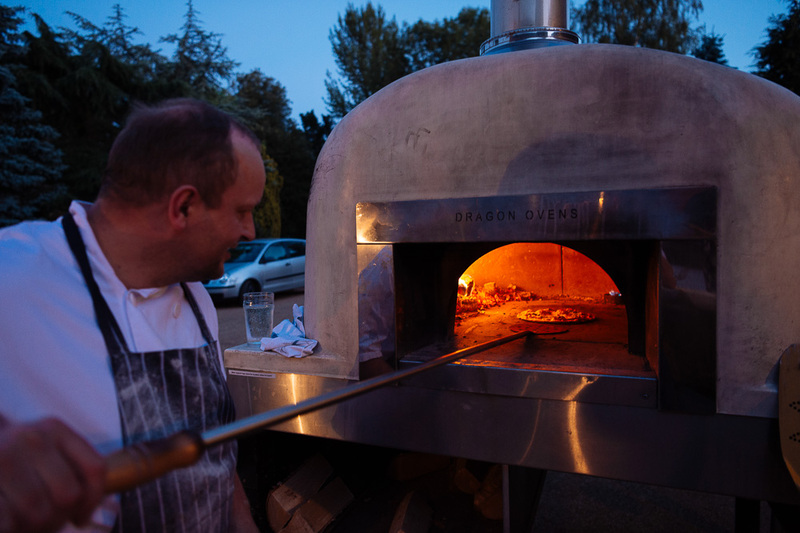 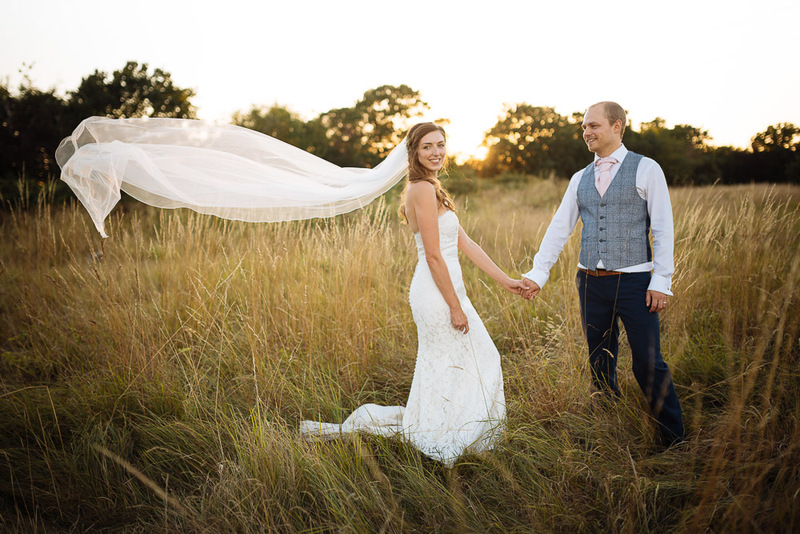 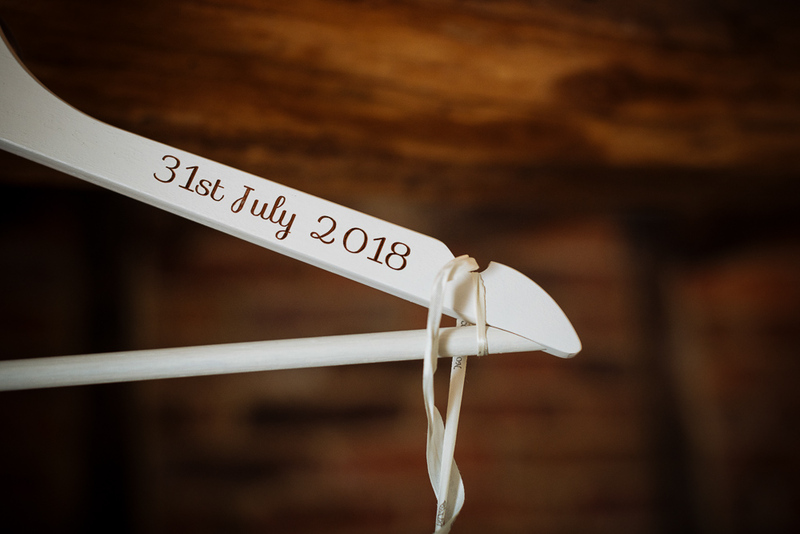 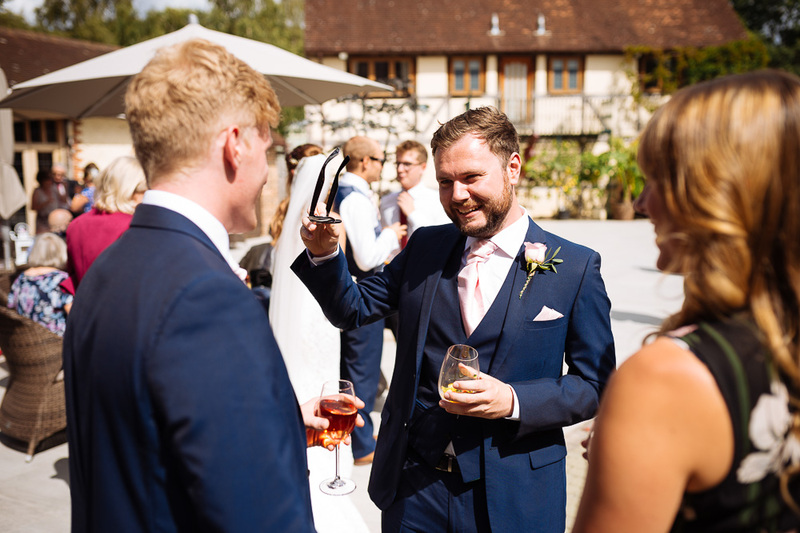 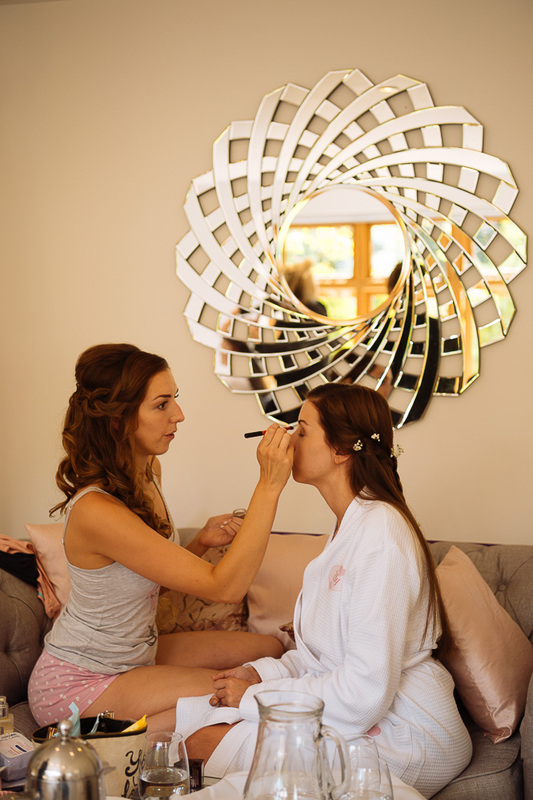 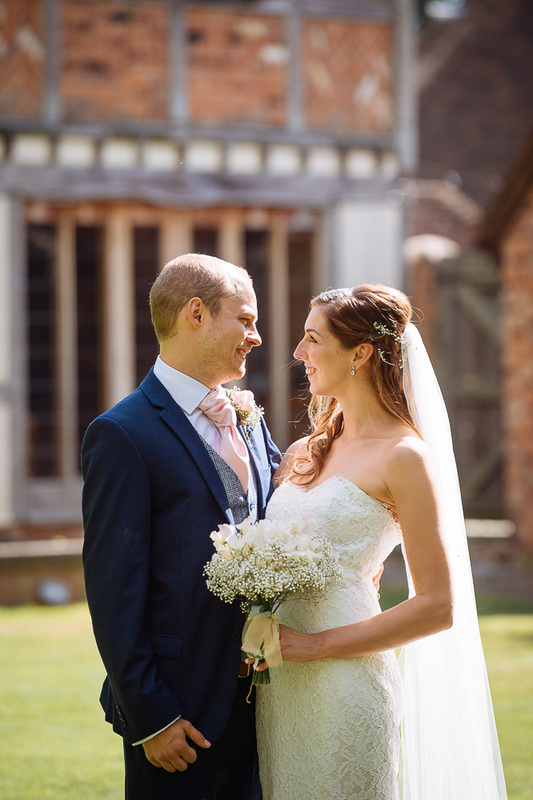 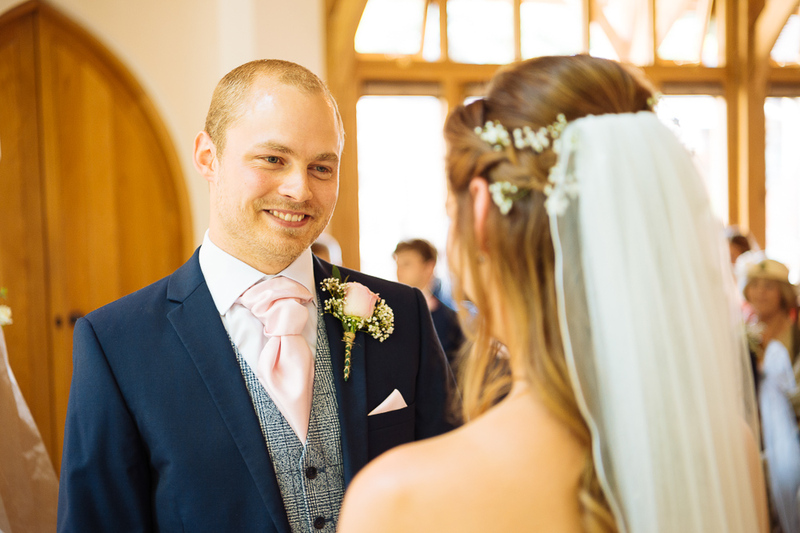 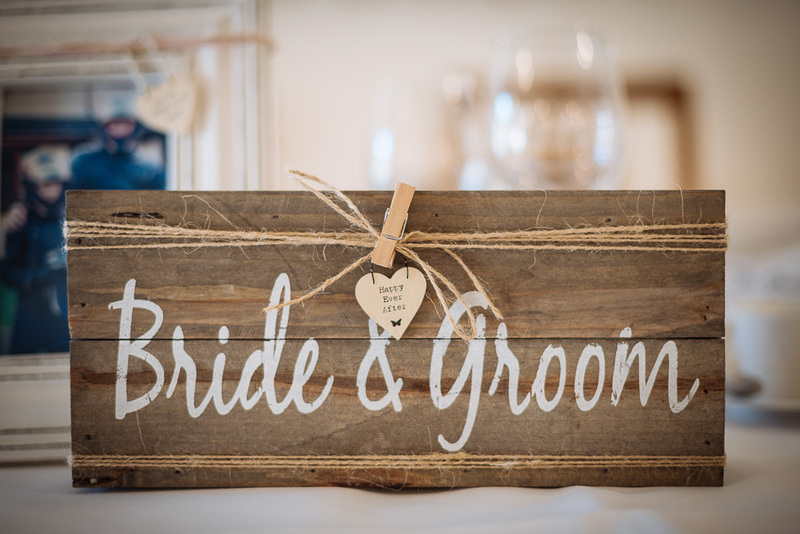 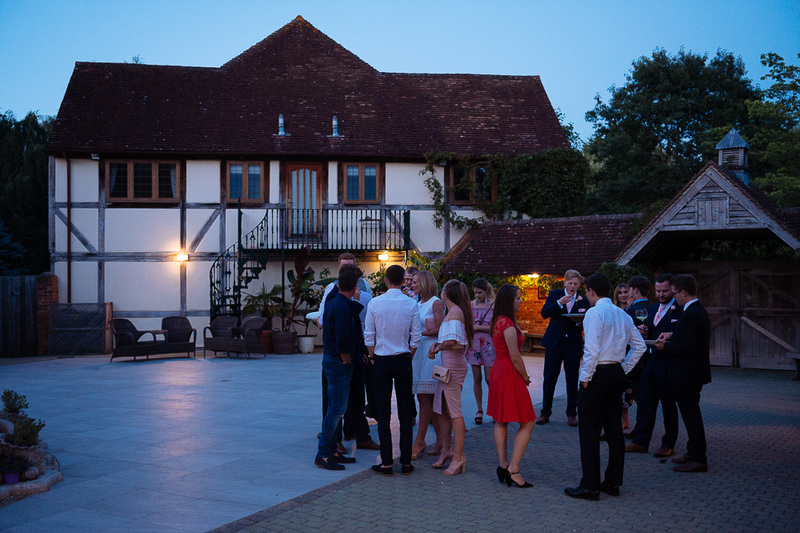 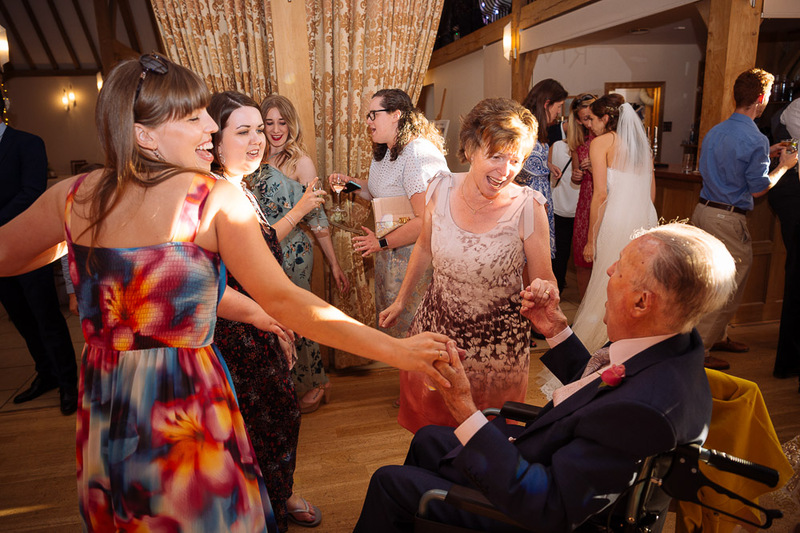 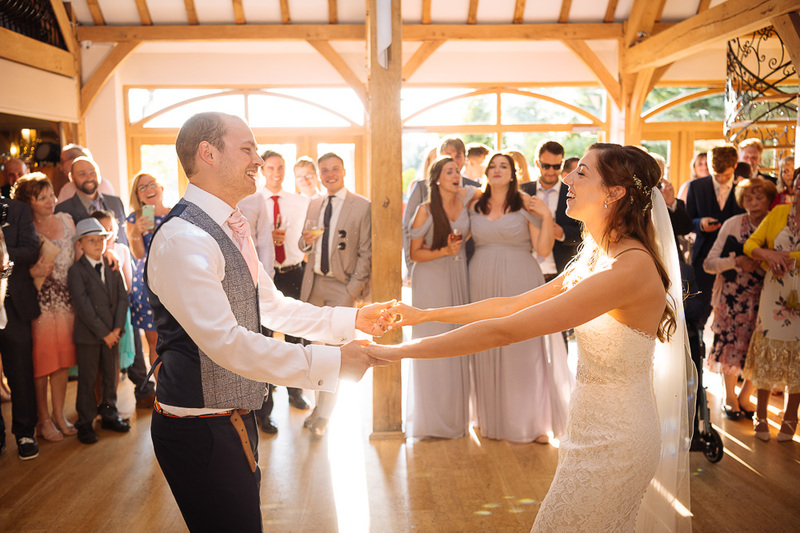 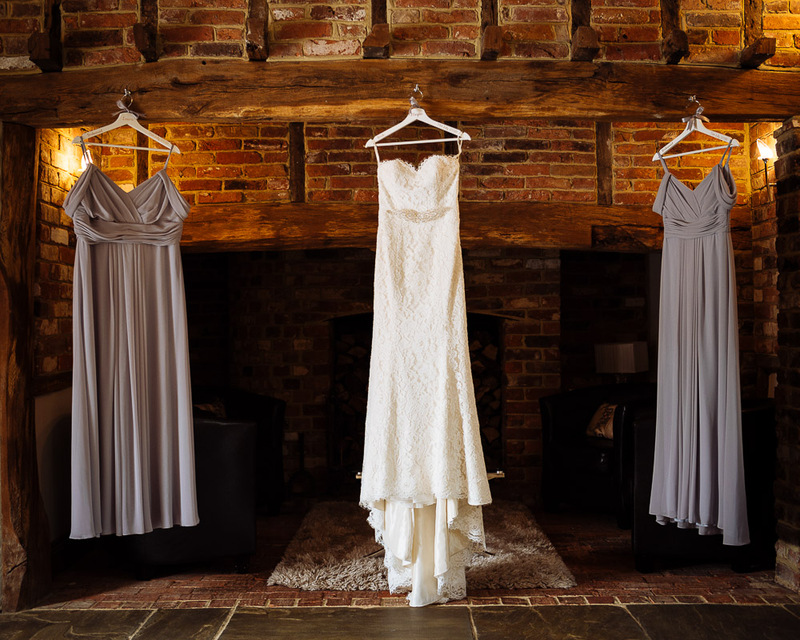 The whole wedding from prep to dancefloor was held at the charming Rivervale Barn on the Hampshire / Surrey border. 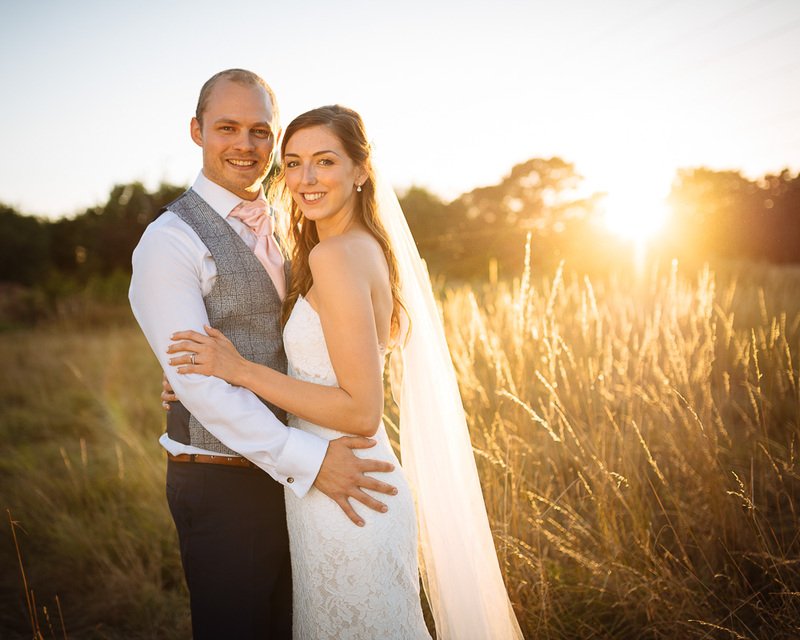 This was my first time shooting this venue so I had paid a visit earlier in the summer to recce photo locations, and found a field full of long grass close by, which Megan and Sean were up for doing some pictures in at sunset; so glad we did because the light was gorgeous and we got my favourite pictures of the day during those last moments of daylight. 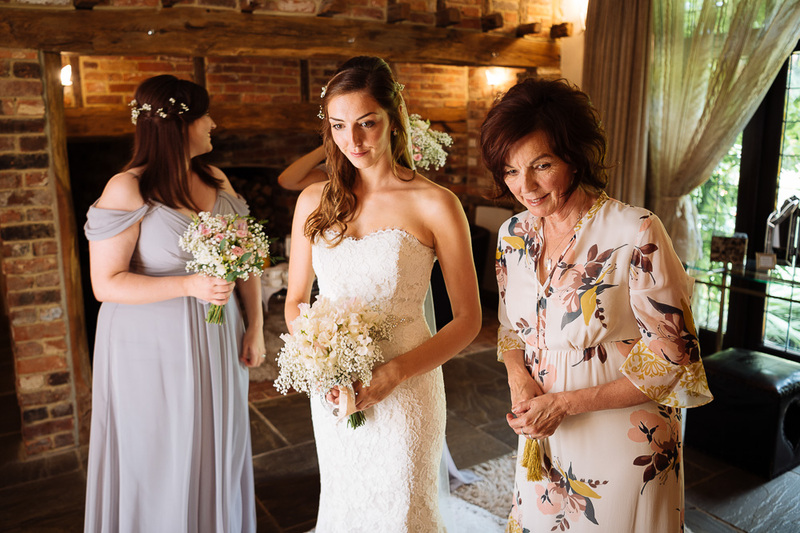 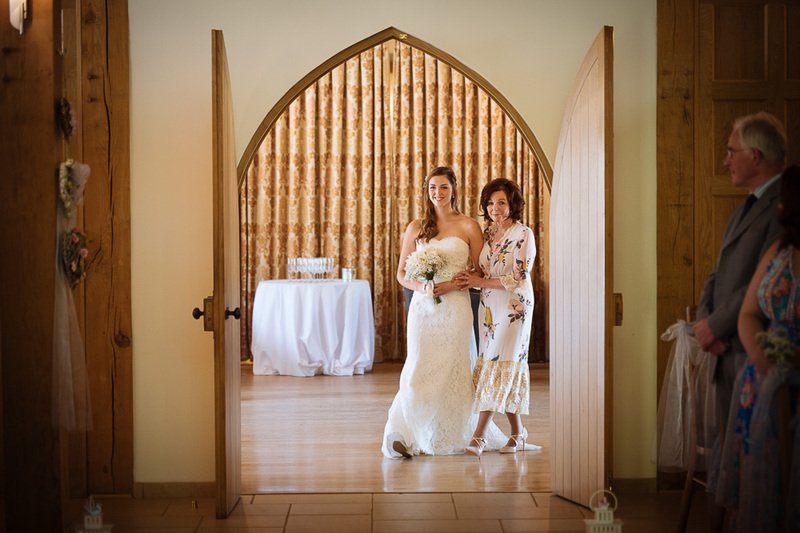 Megan got her dress from Bleu Bridal in Shedfield, her mother took care of the flowers, Galloping Gourmet did the catering.